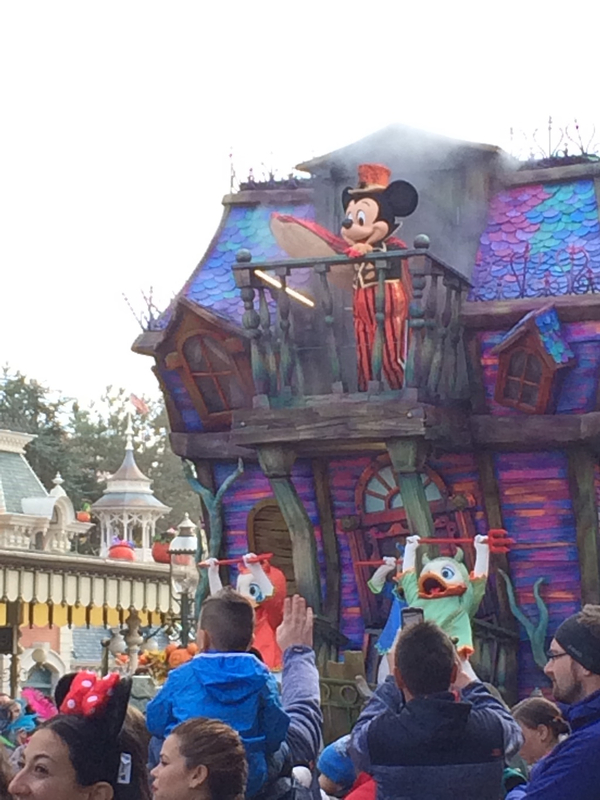 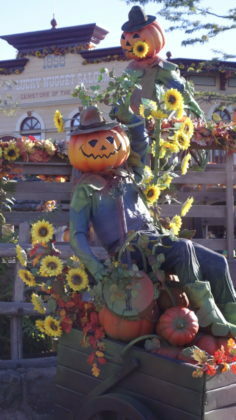 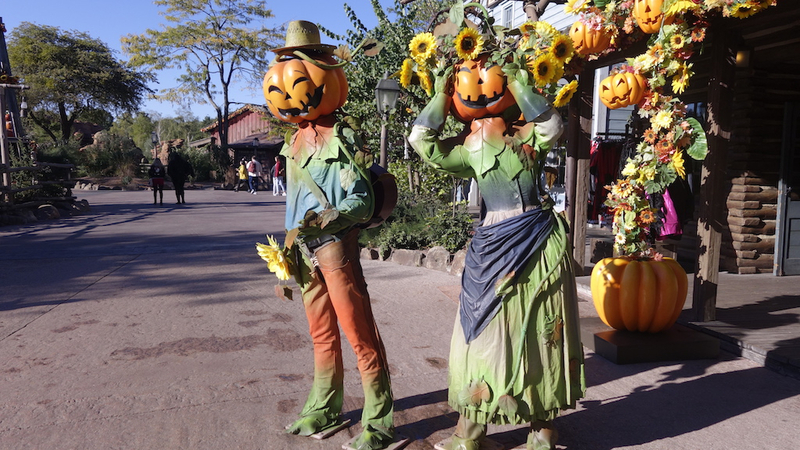 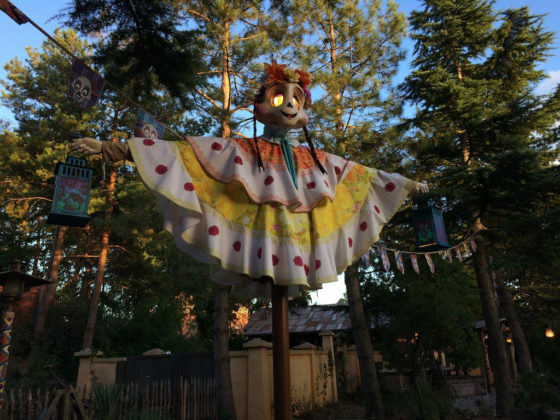 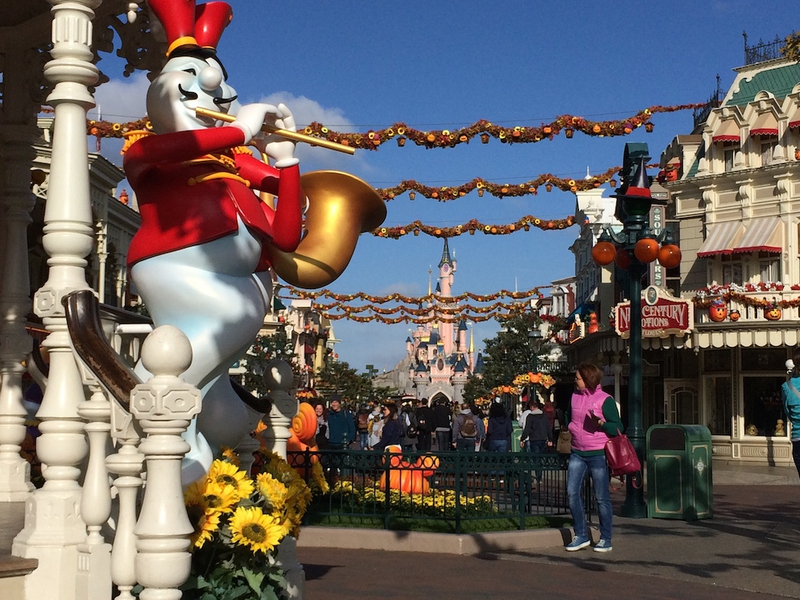 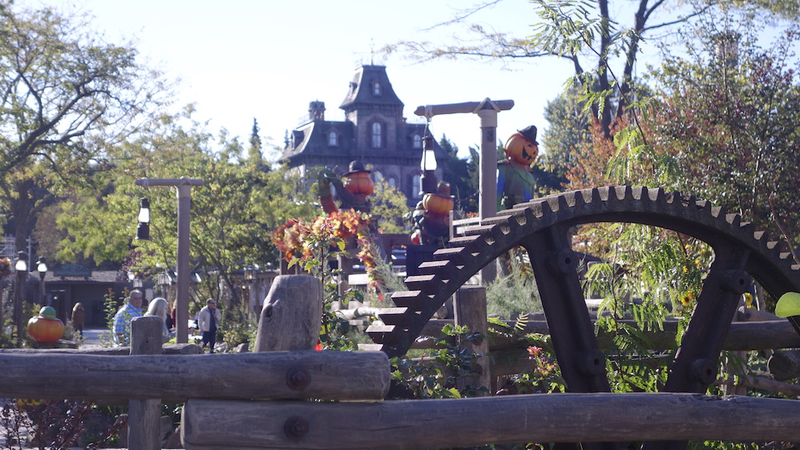 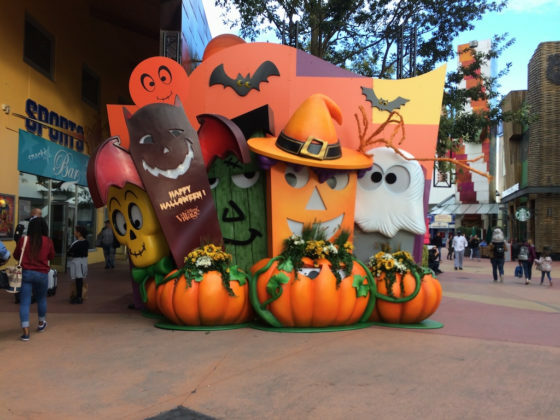 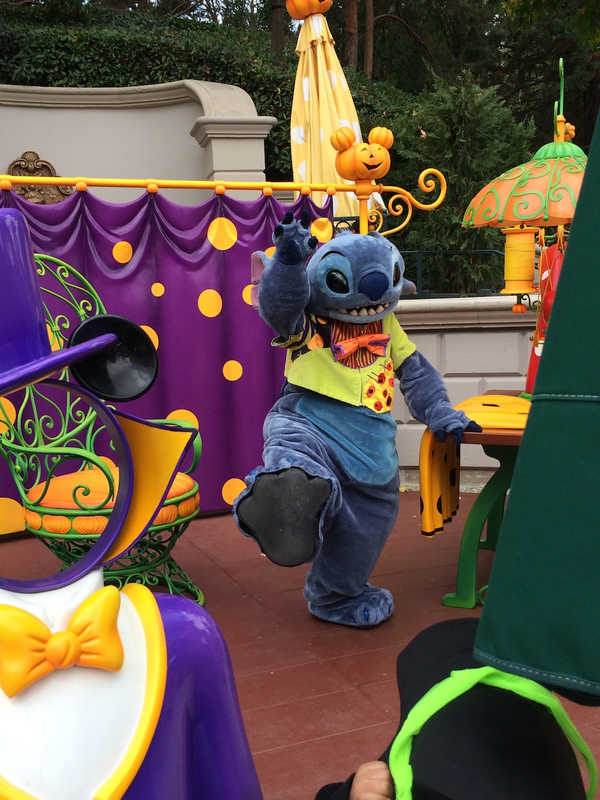 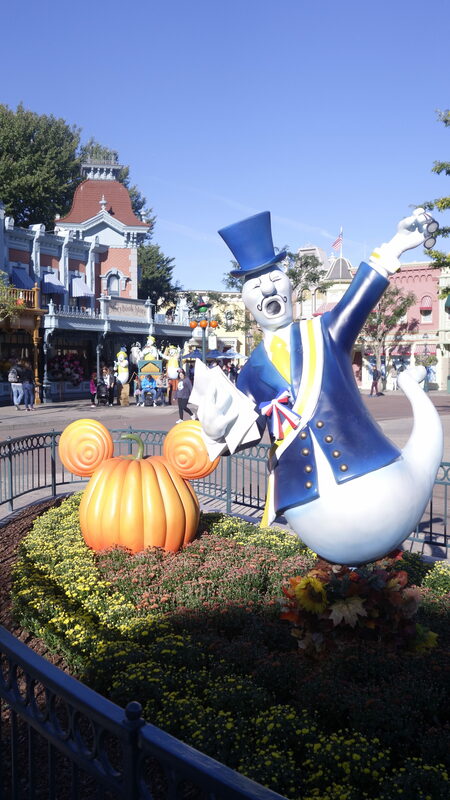 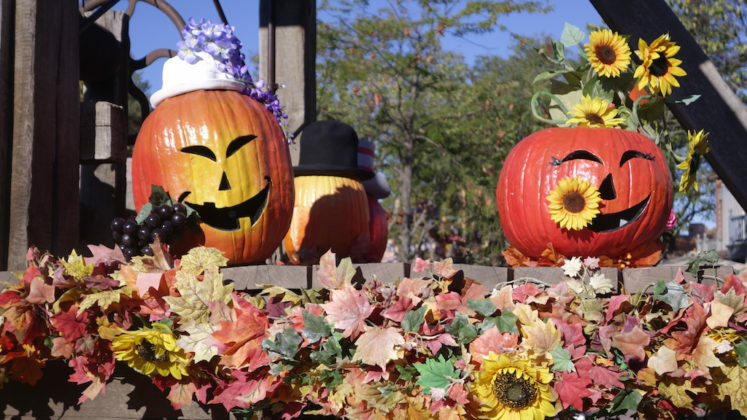 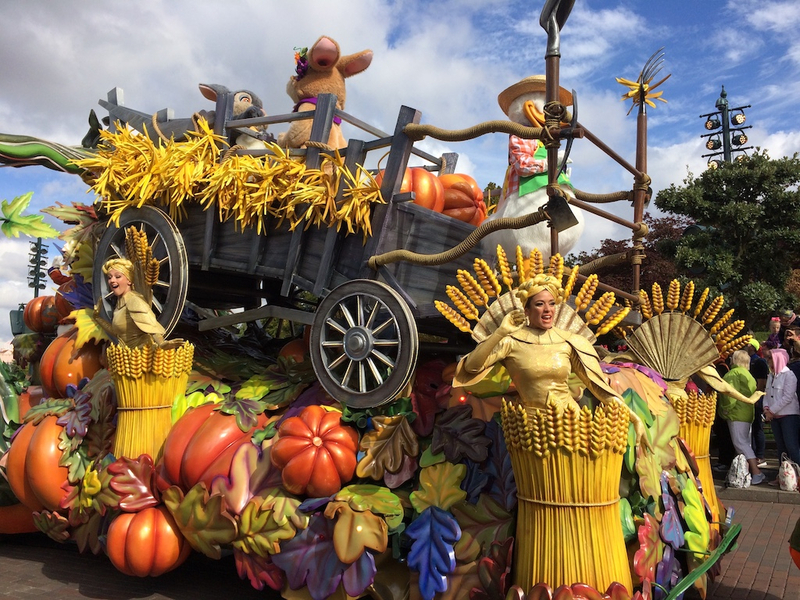 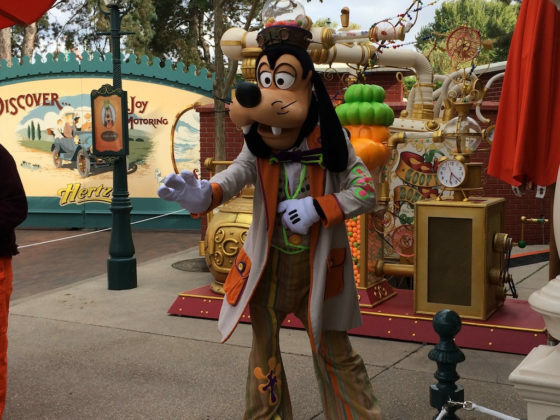 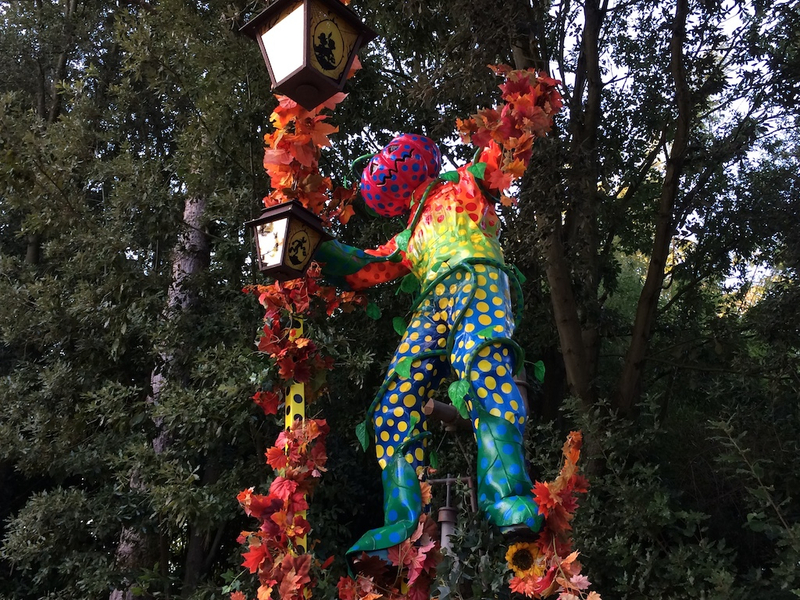 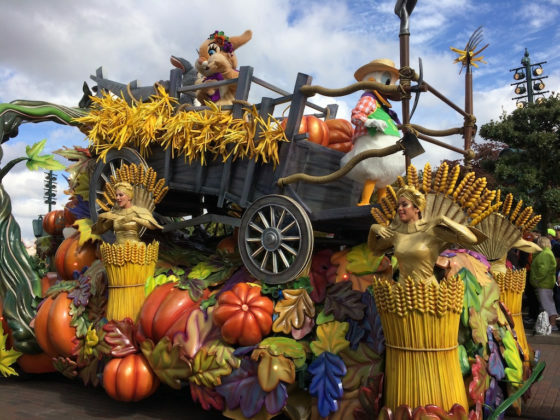 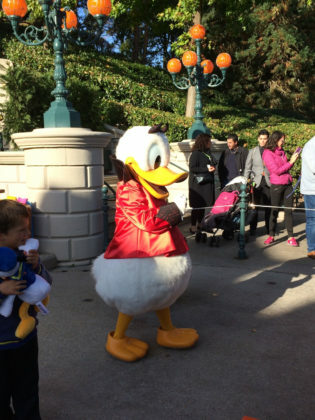 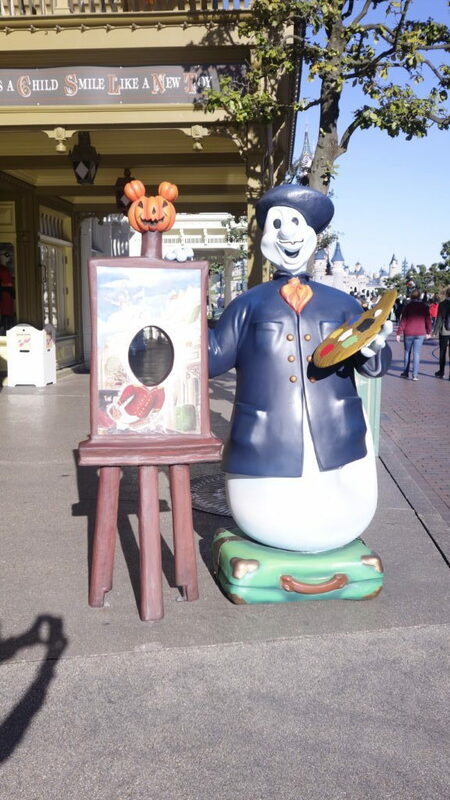 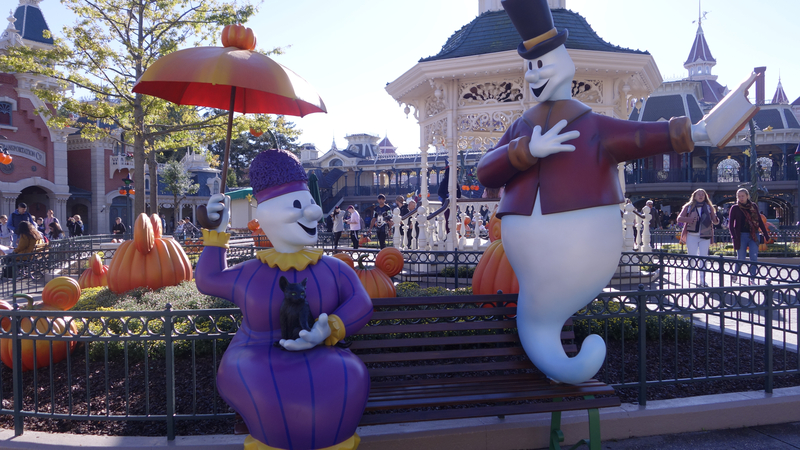 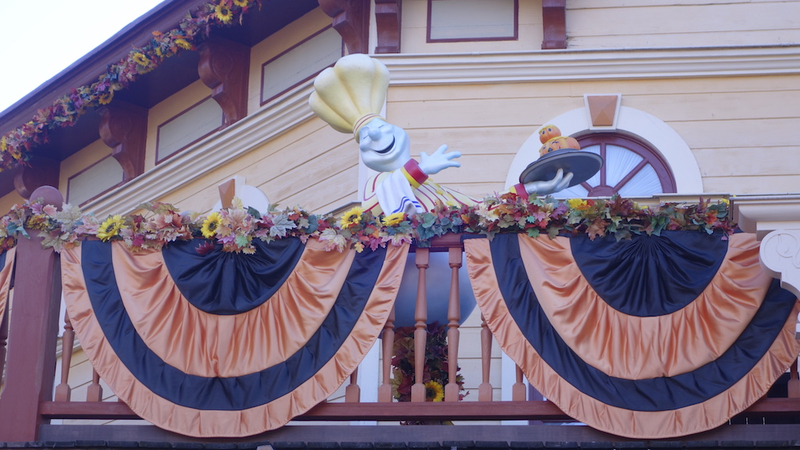 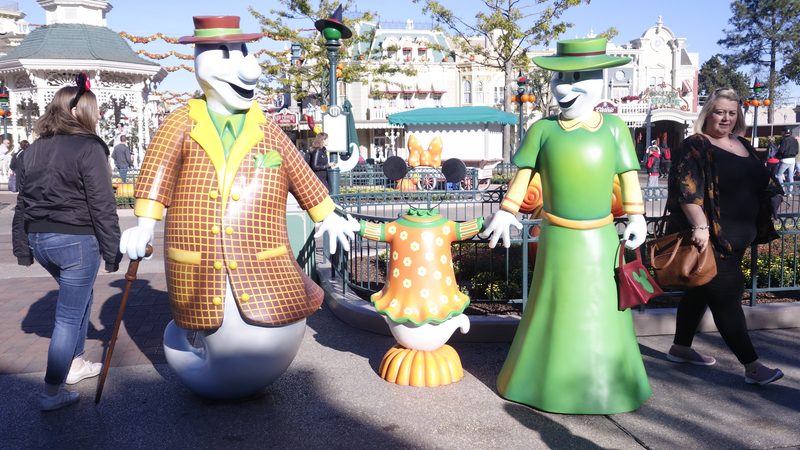 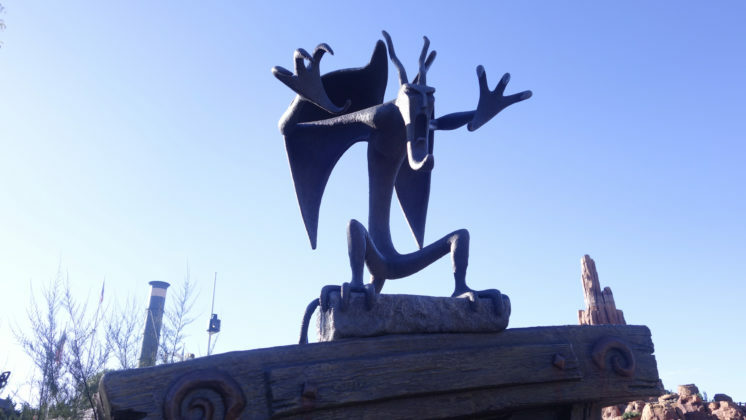 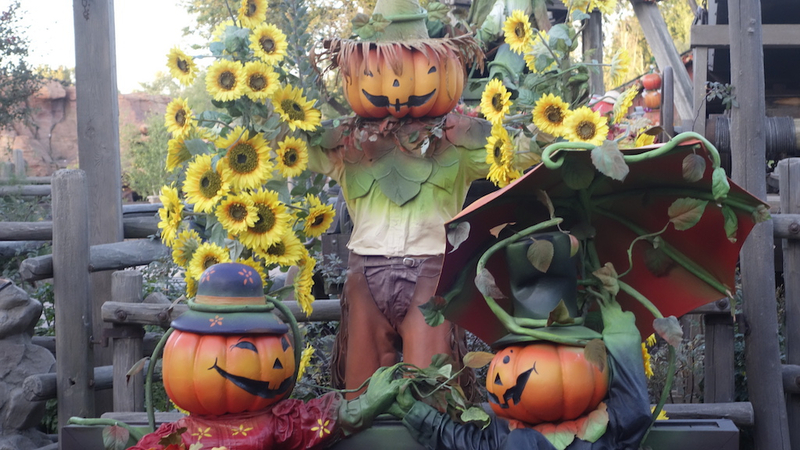 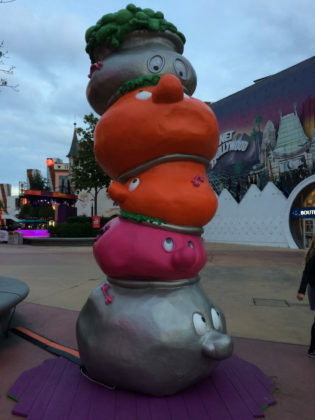 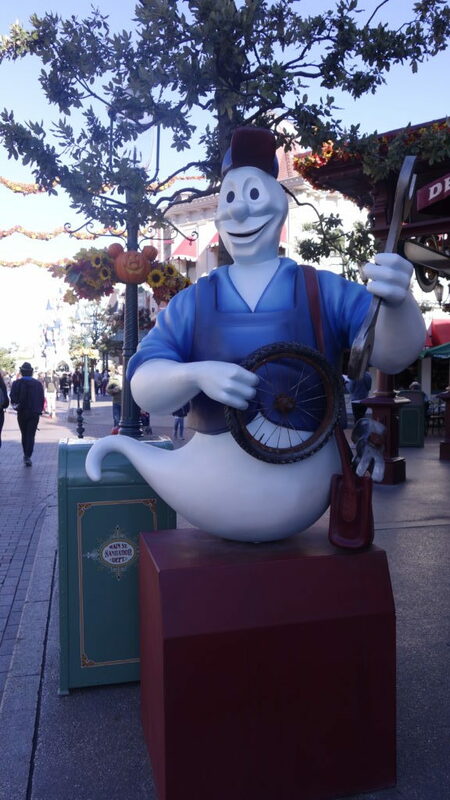 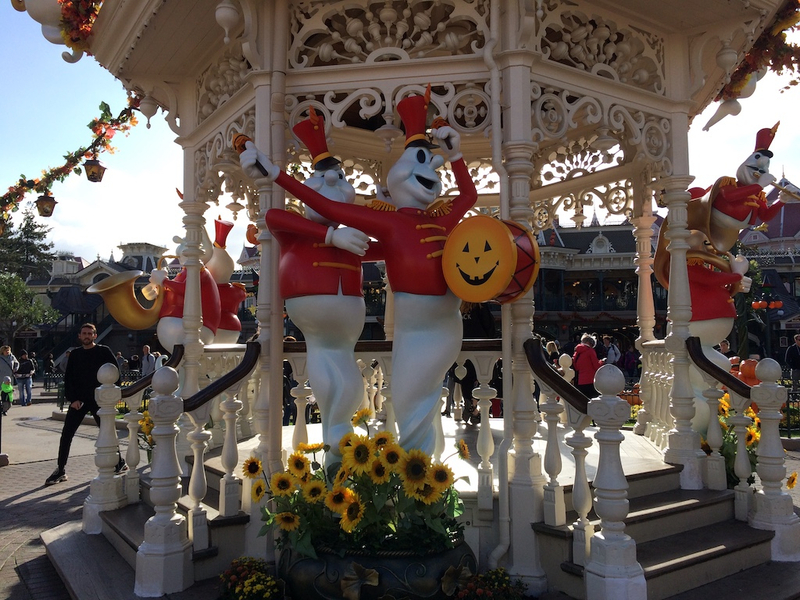 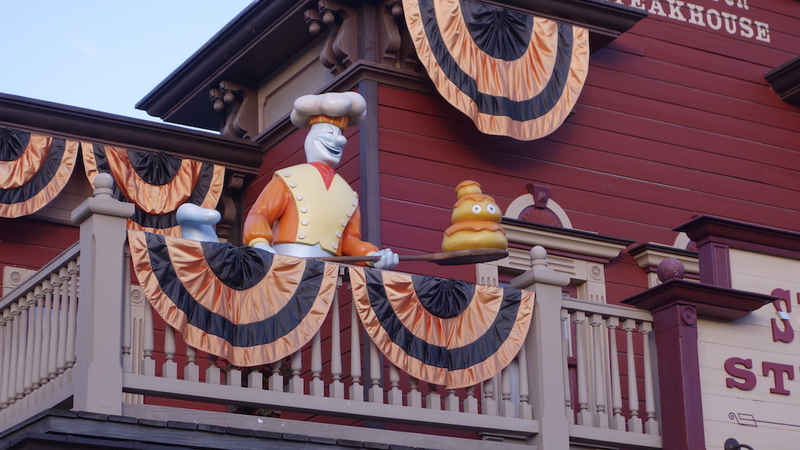 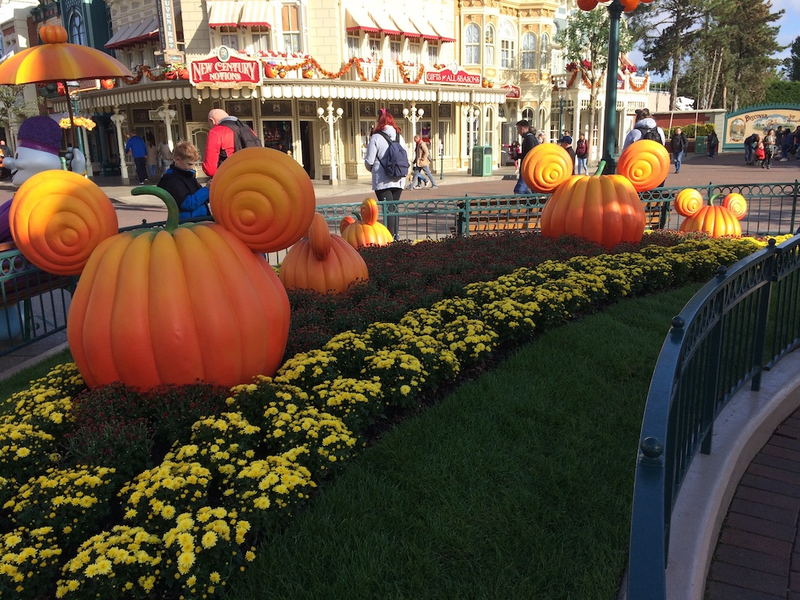 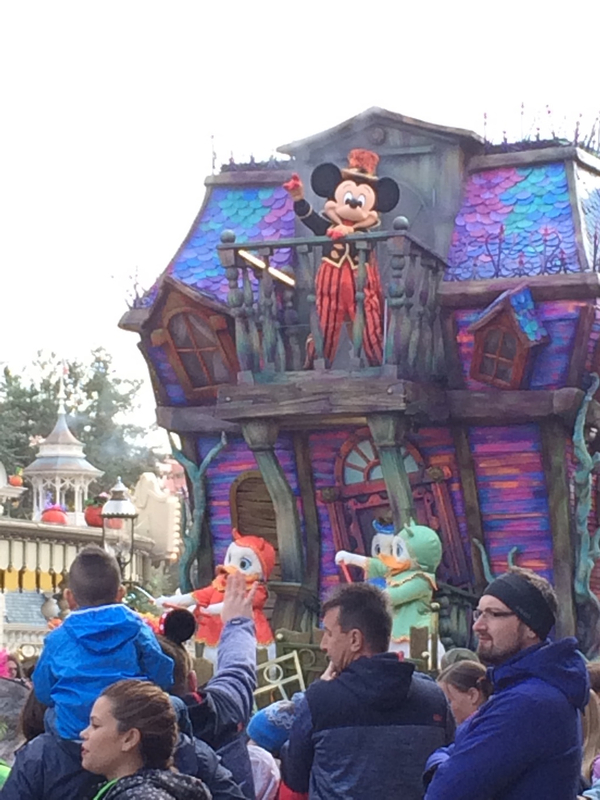 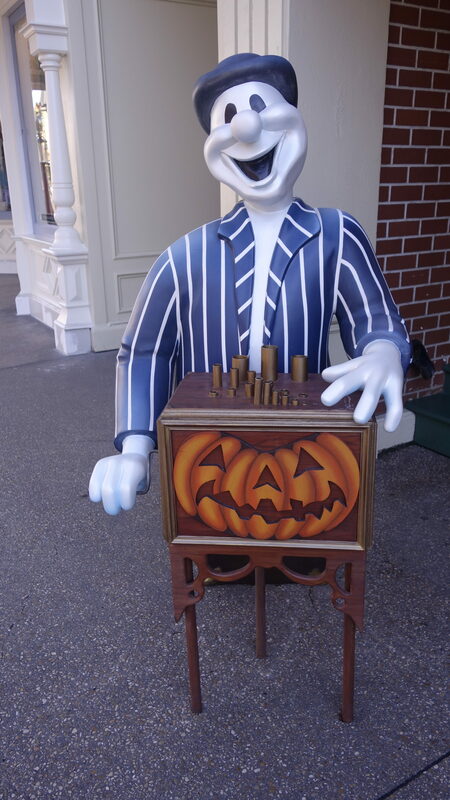 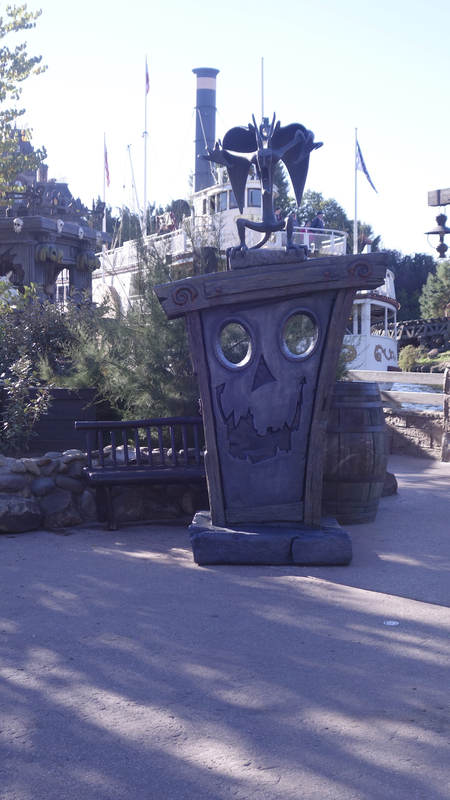 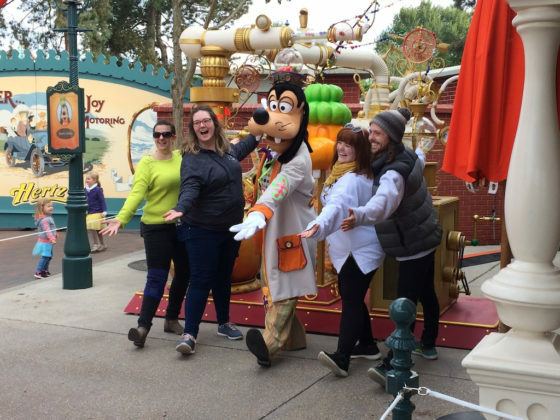 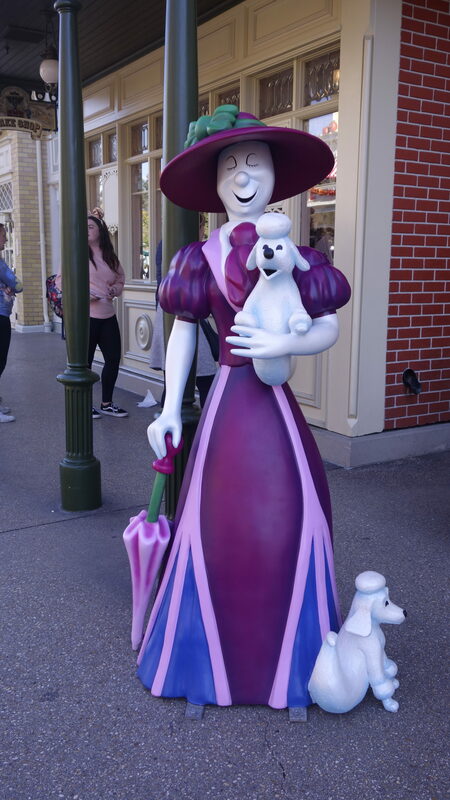 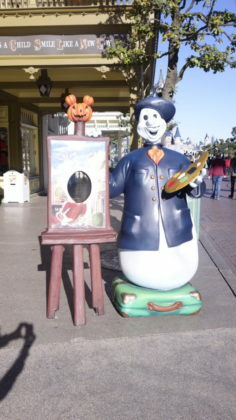 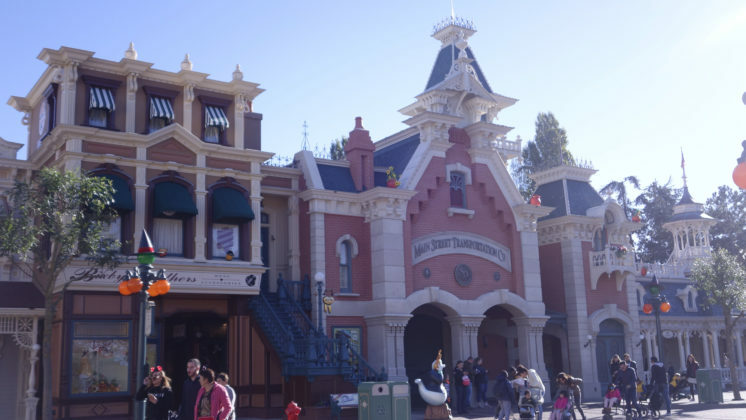 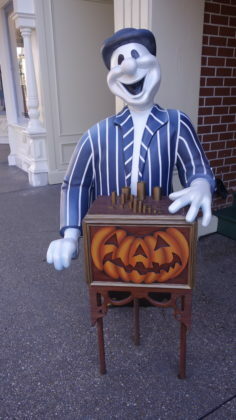 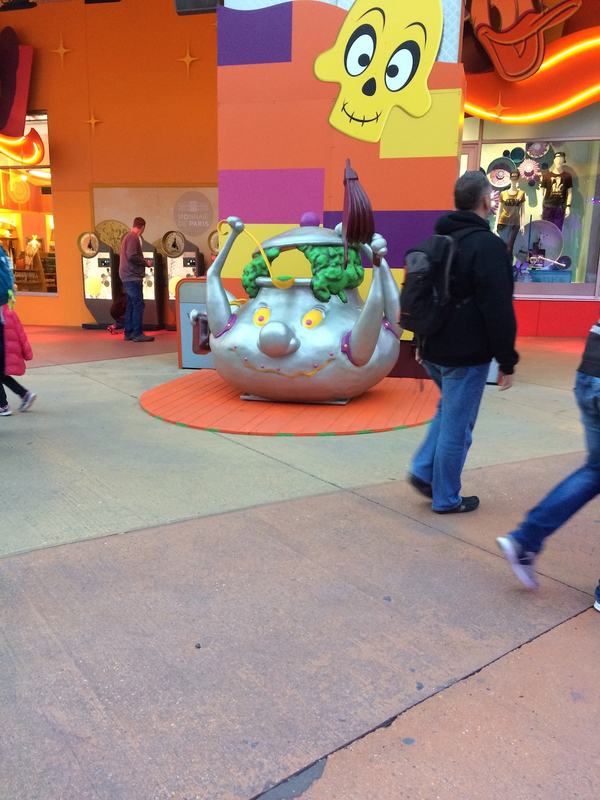 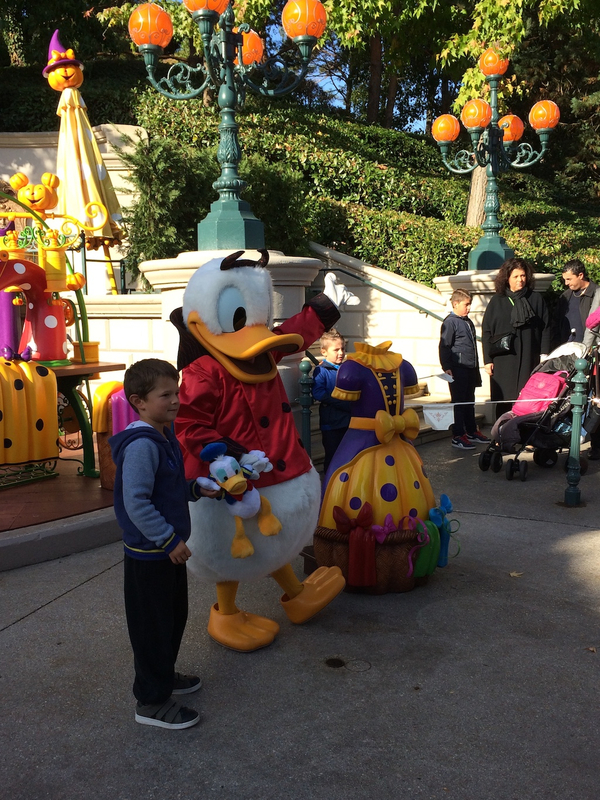 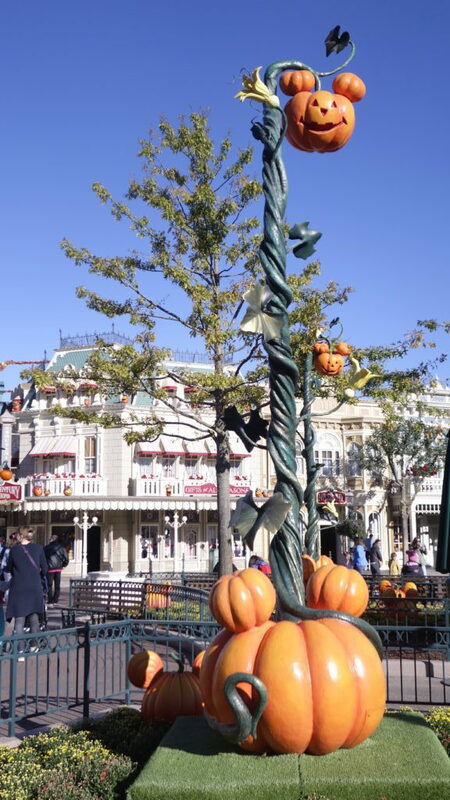 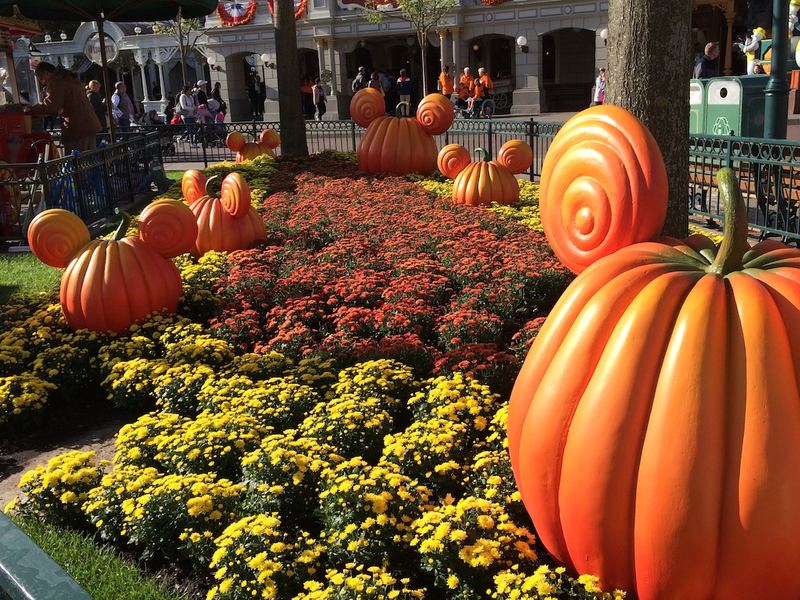 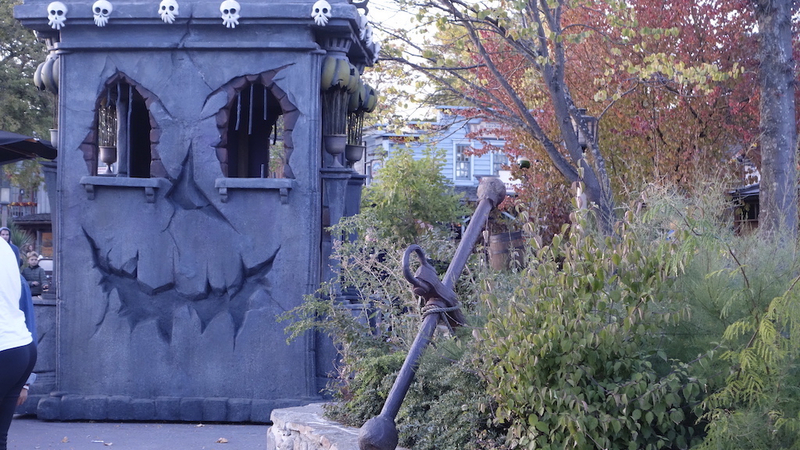 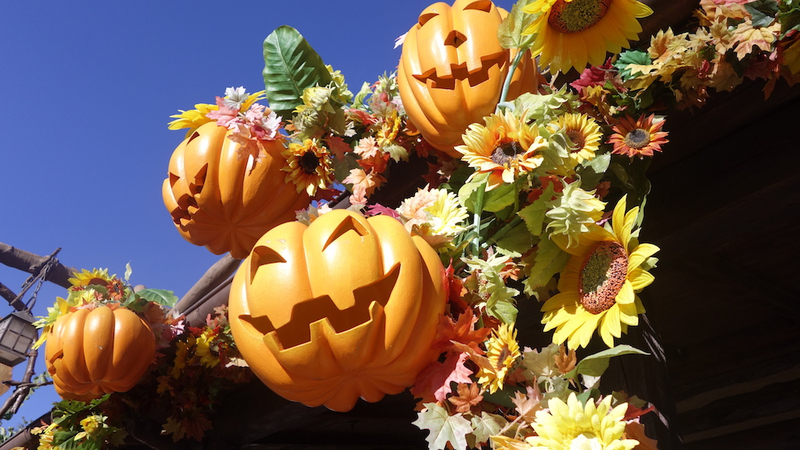 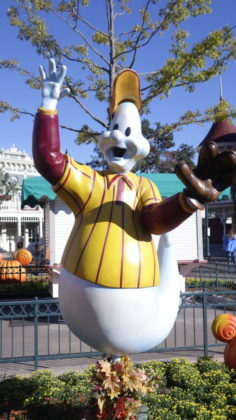 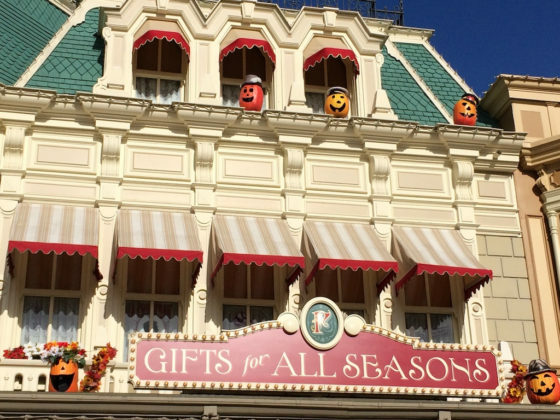 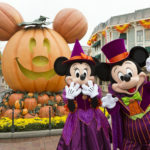 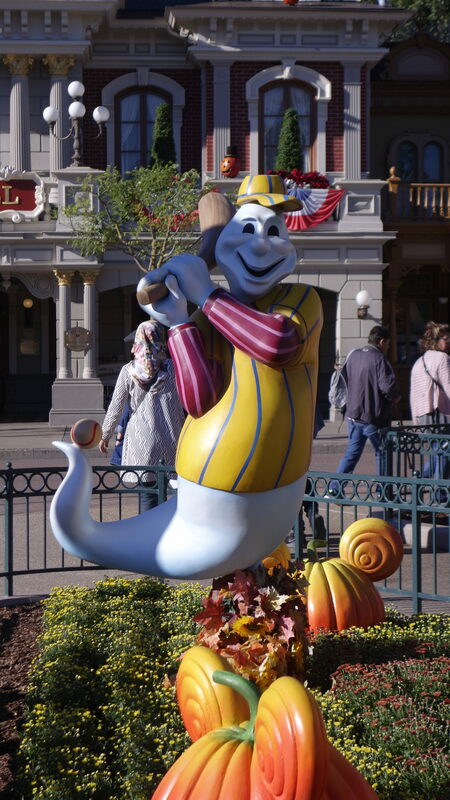 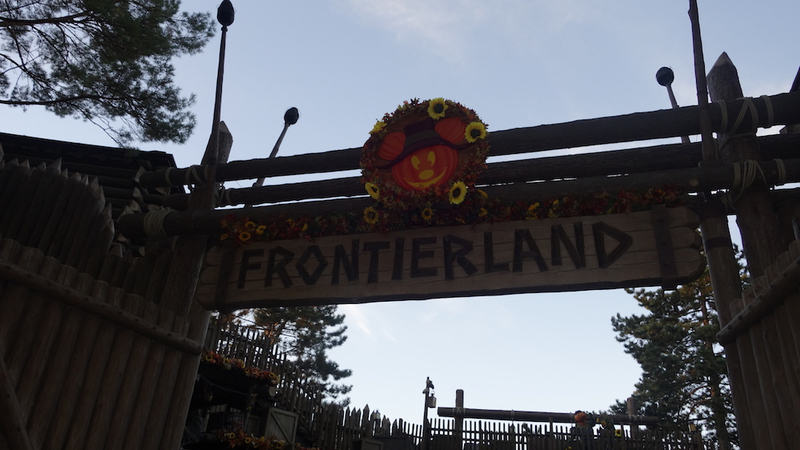 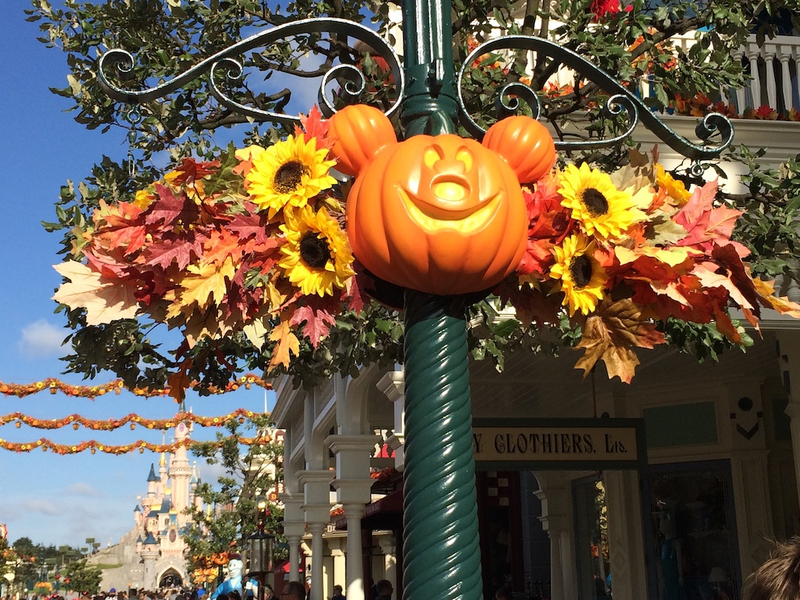 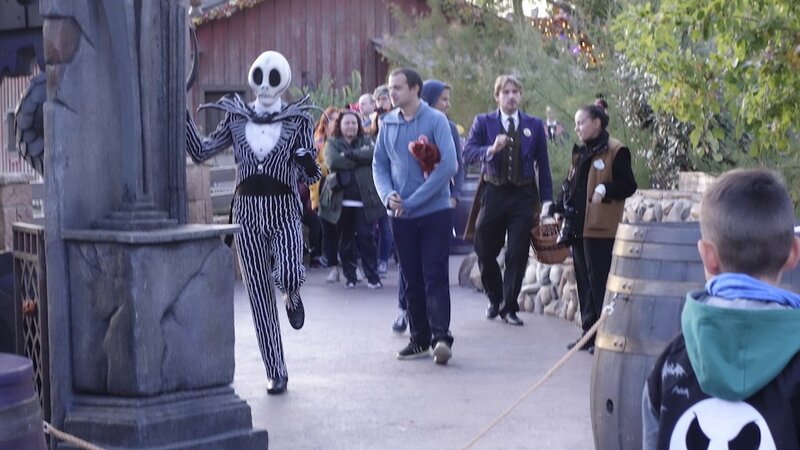 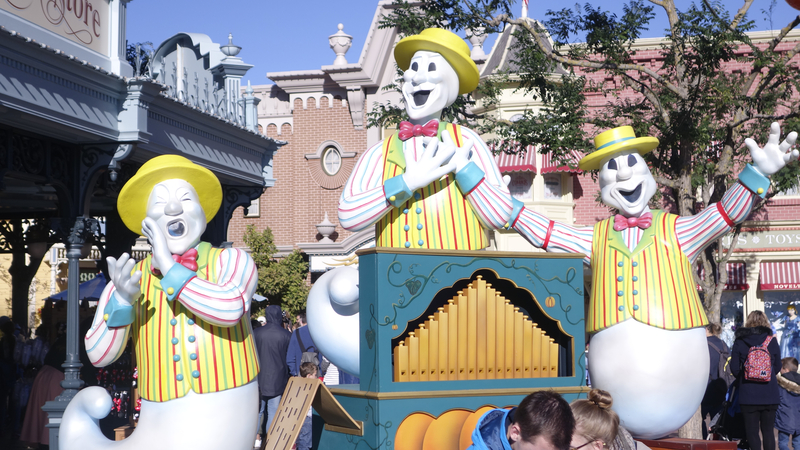 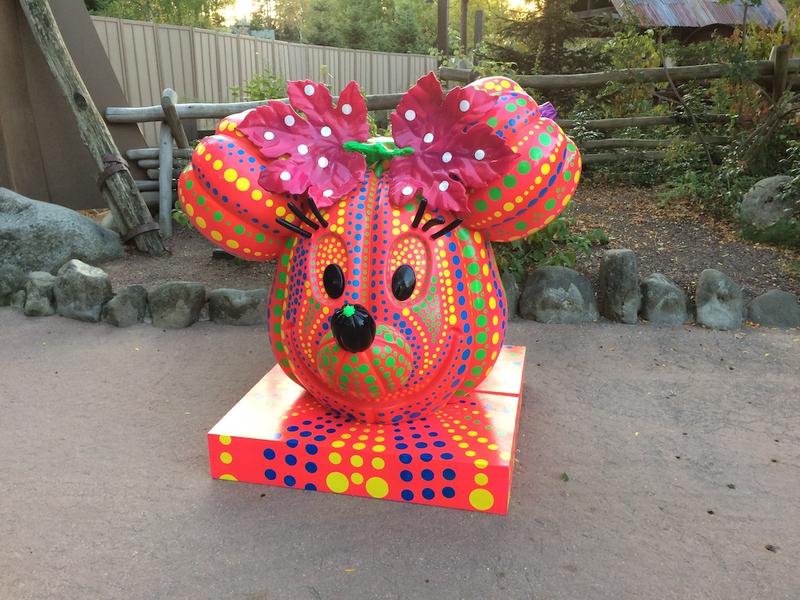 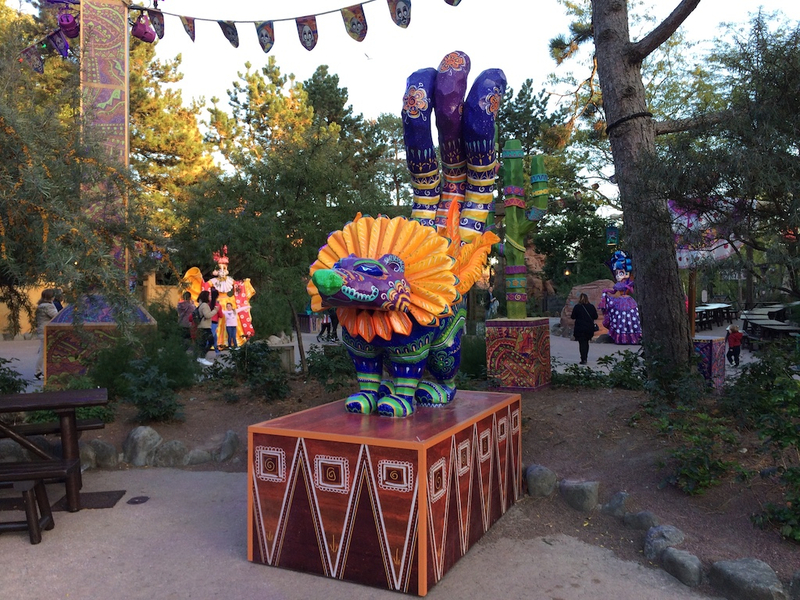 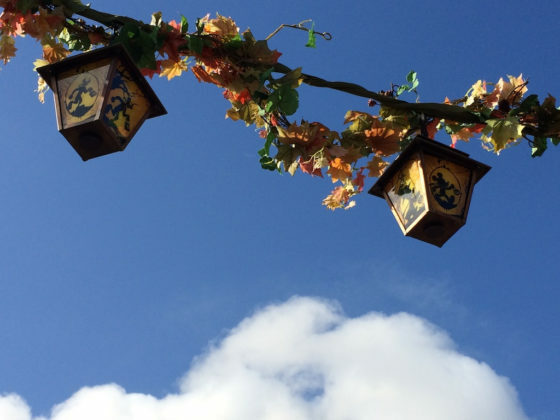 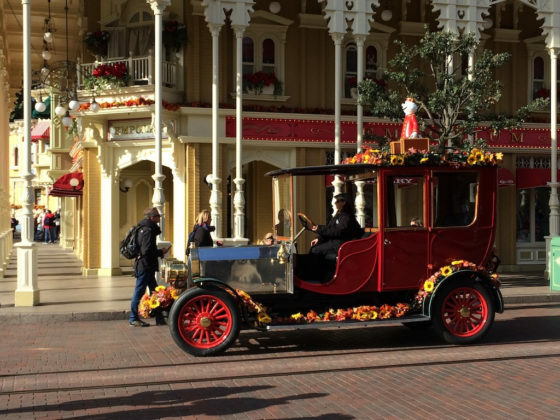 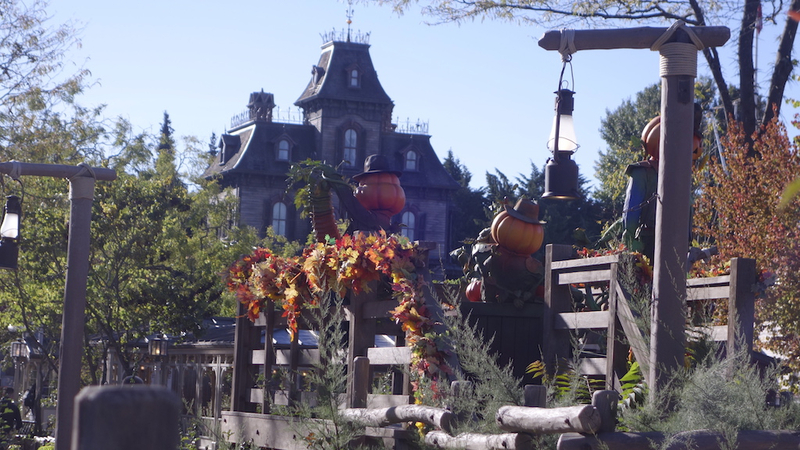 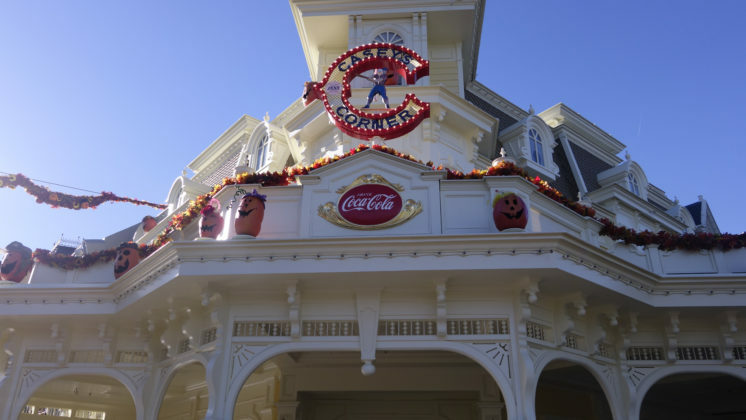 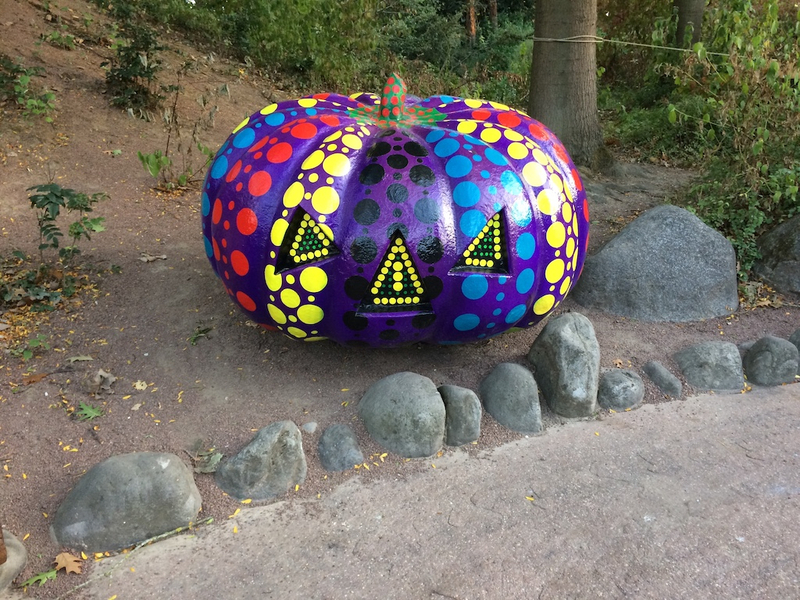 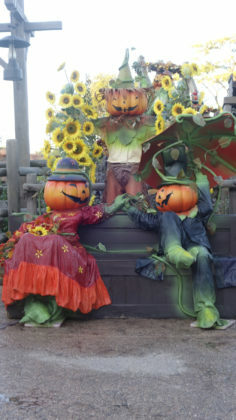 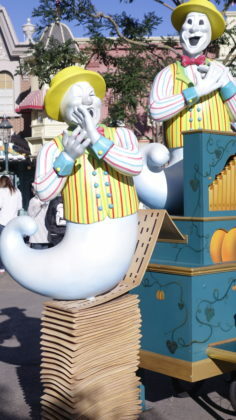 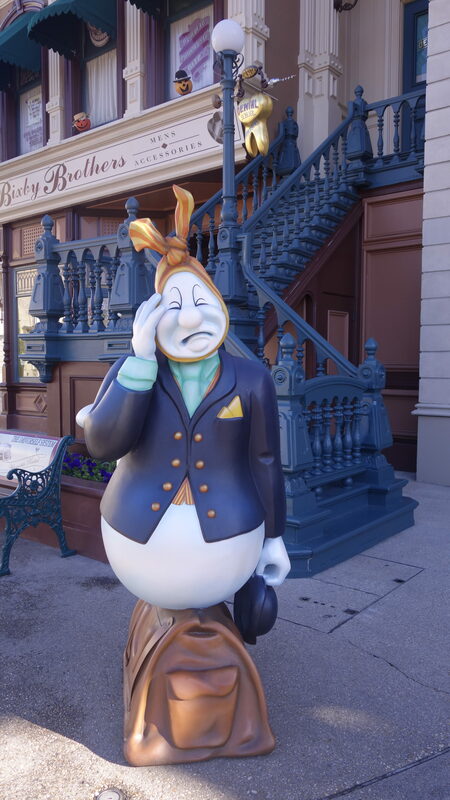 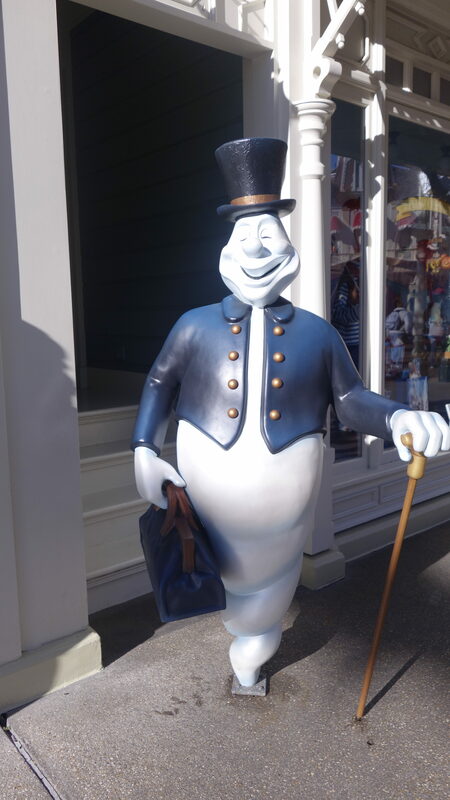 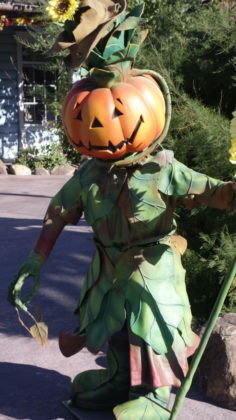 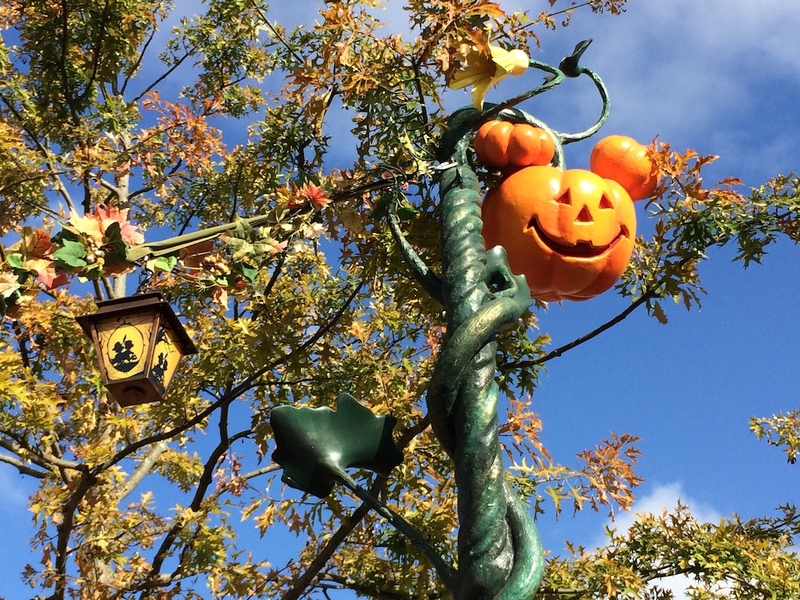 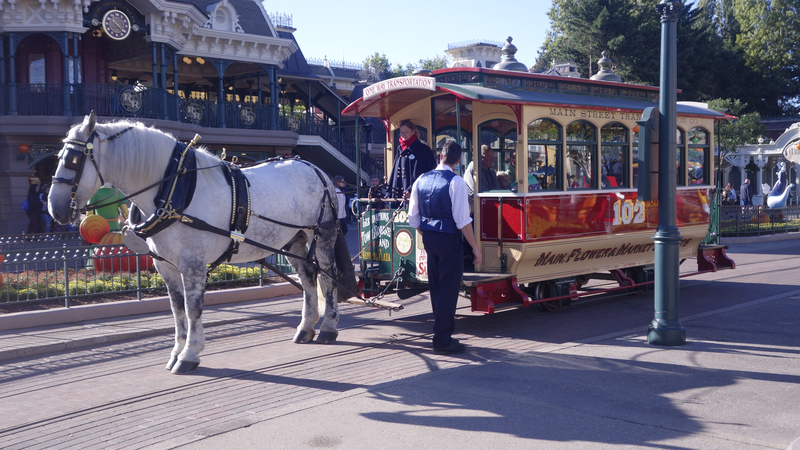 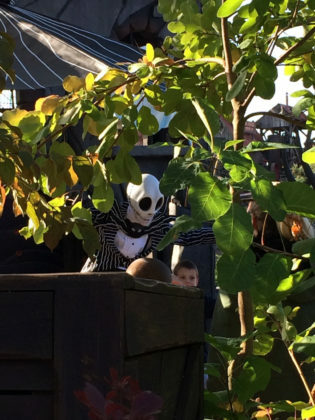 Halloween at Disneyland Paris was a magical celebration of fall that was full of character. 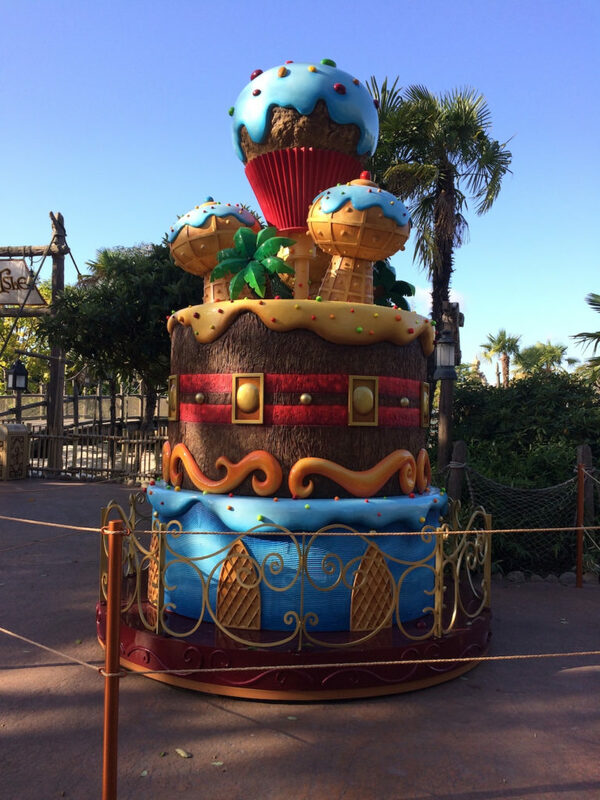 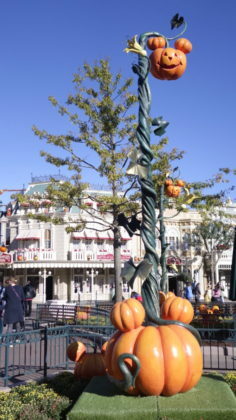 Not only was the Resort decorated for holiday, but over at Parc Disneyland. 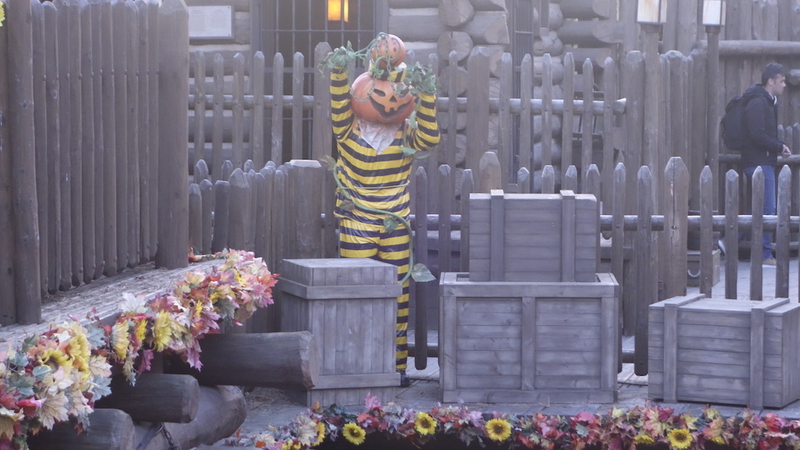 things were especially festive. 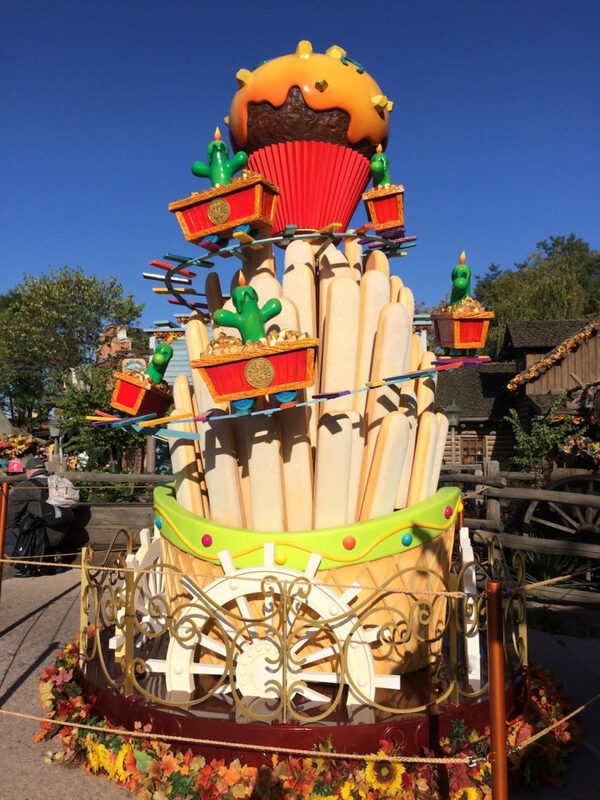 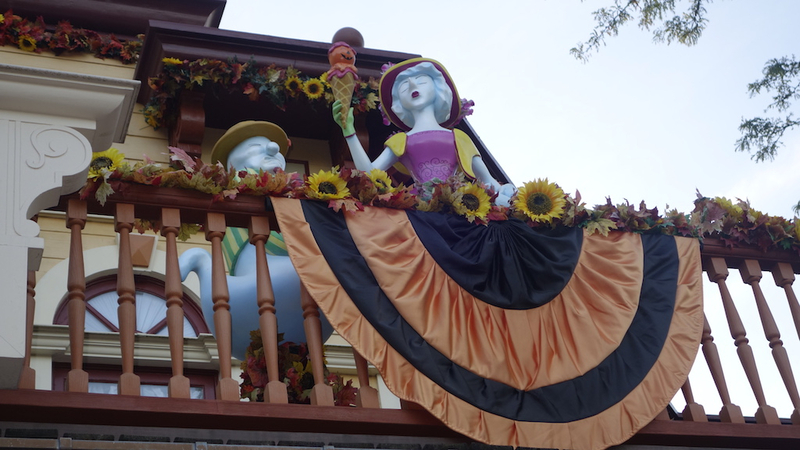 The Halloween parade debuted a new float with its own magic surprises and there was even a cupcake celebration for Mickey’s 90th birthday. 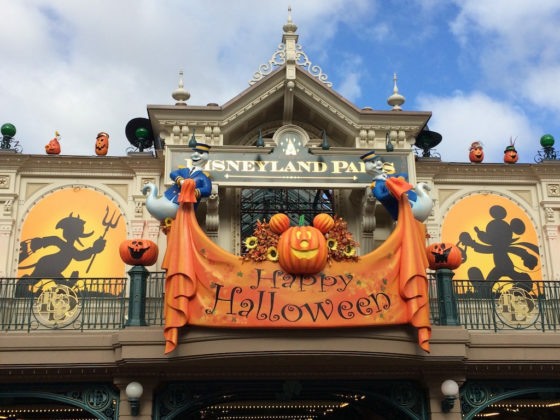 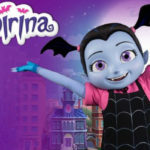 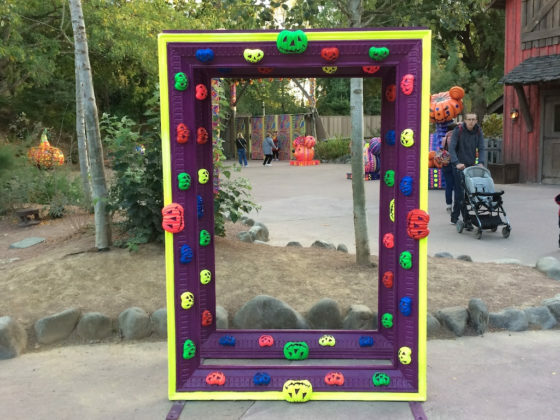 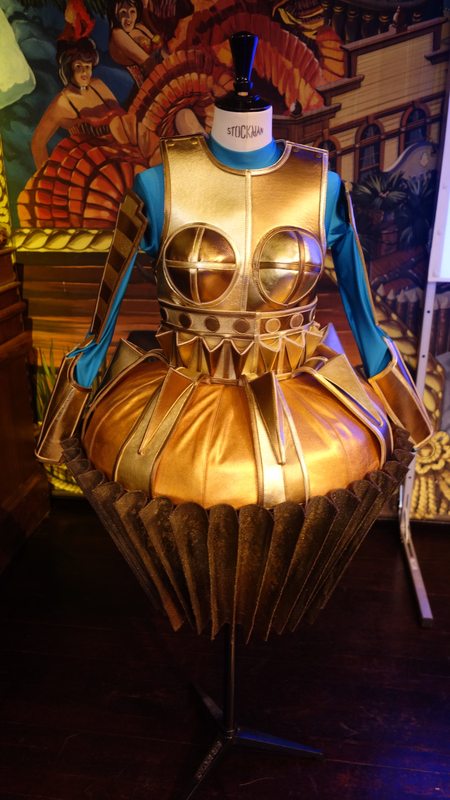 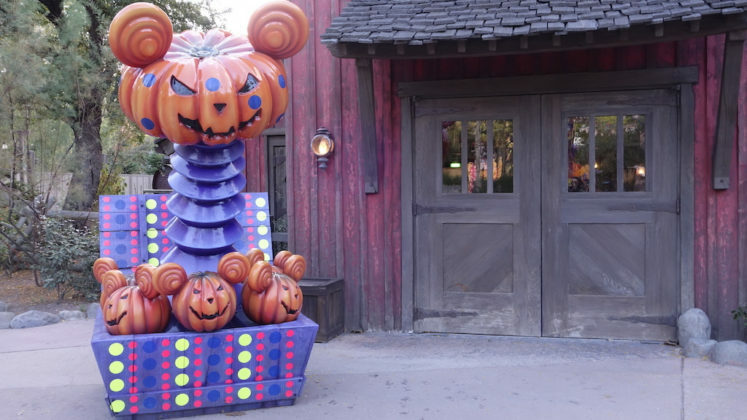 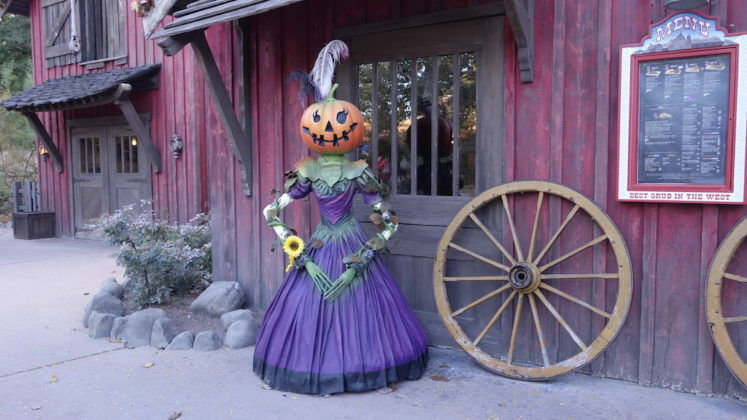 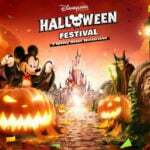 With a few fun tricks up their sleeves, Disneyland Paris’ Halloween boasted some incredible surprises! 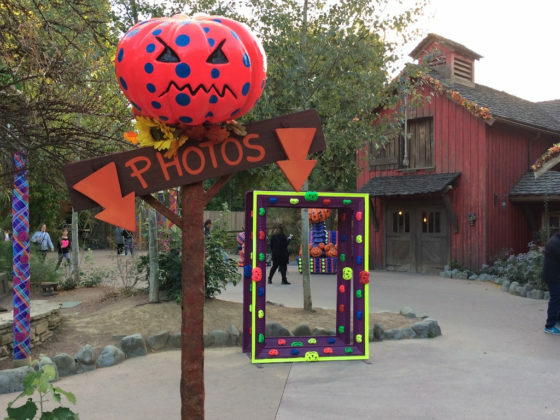 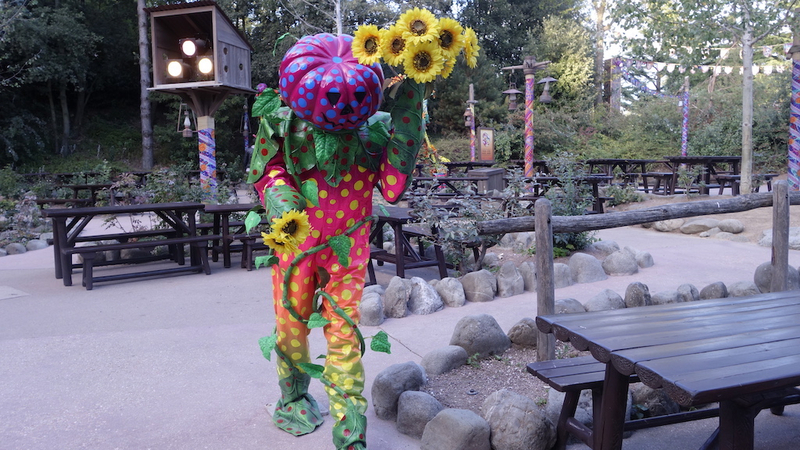 From a Ghost Bride and costumed chipmunks, to a vanishing Mickey this Halloween harvest celebration was a blast! 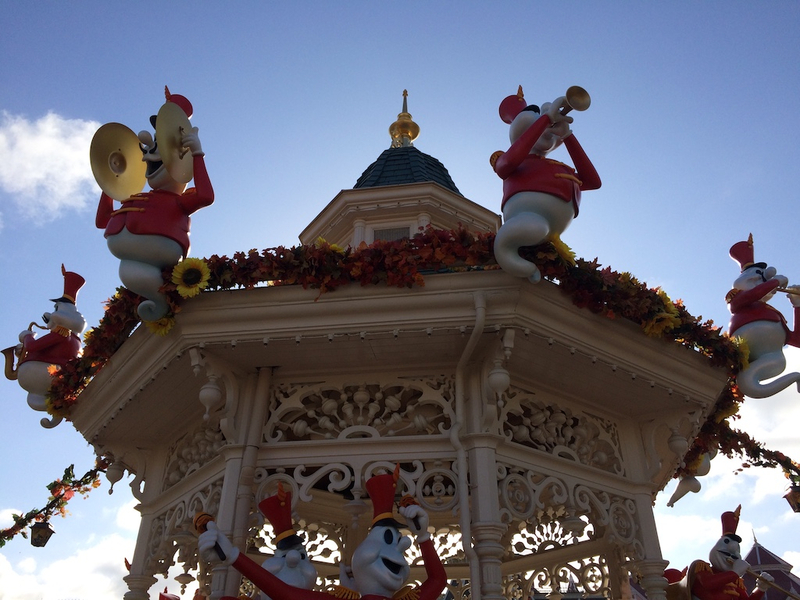 With a catchy song and spirited dancing, nothing beats the holidays at Disney. 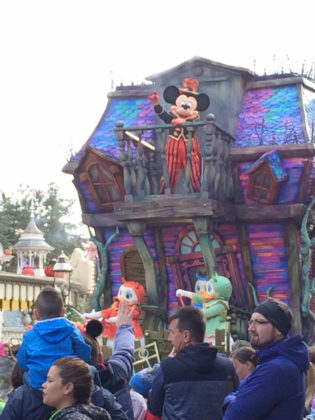 When the heroes are away, the villains will play. The Evil Queen took to the Castle stage to remind guests just who was in charge this season, and she wasn’t alone. 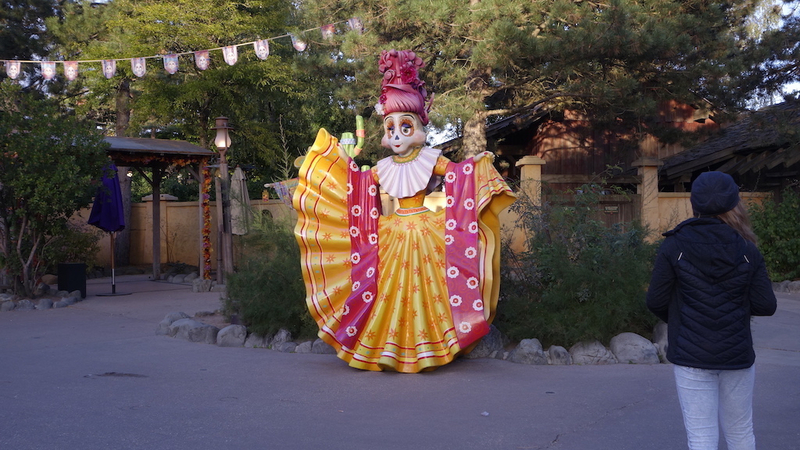 Joining her were some of the Disney’s most iconic villains for a show that was terror-ificly fun! You wouldn’t even begin to think about fall celebrations without thinking about decorations. 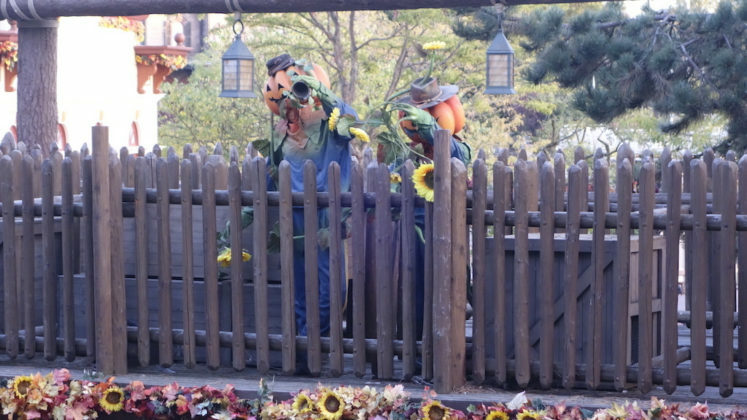 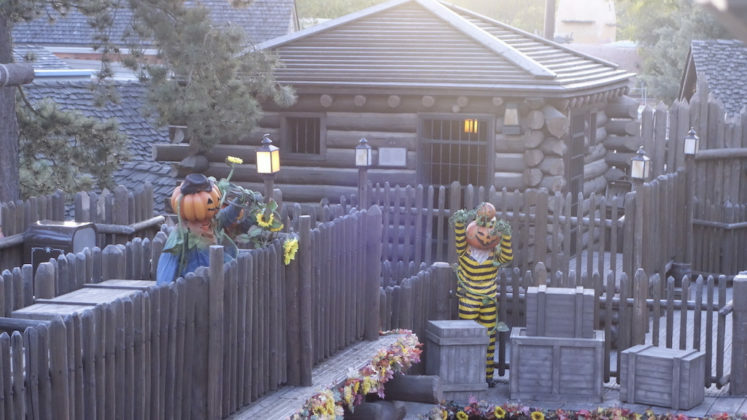 As always Disneyland theming was at its best with plenty of leaves, pumpkins, ghosts, and skeletons dispersed around the park. 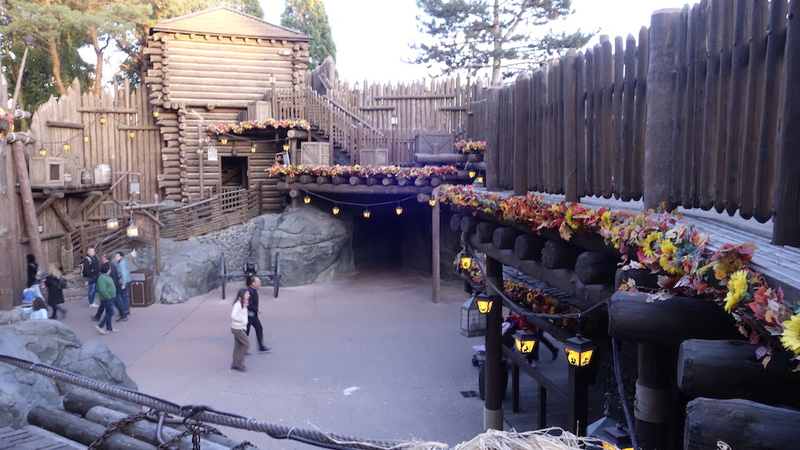 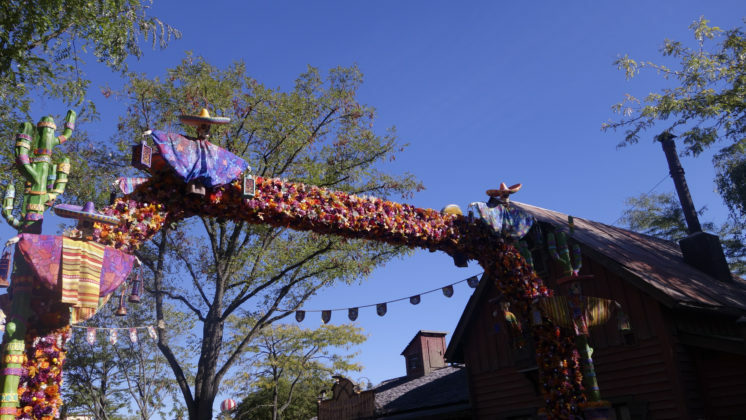 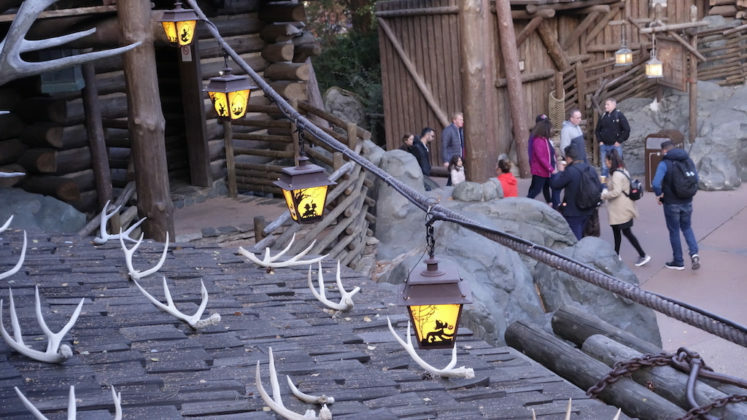 Most of the decorations in the park were on Main Street and in Frontierland, but you could just feel the sprit of the holiday around every corner. 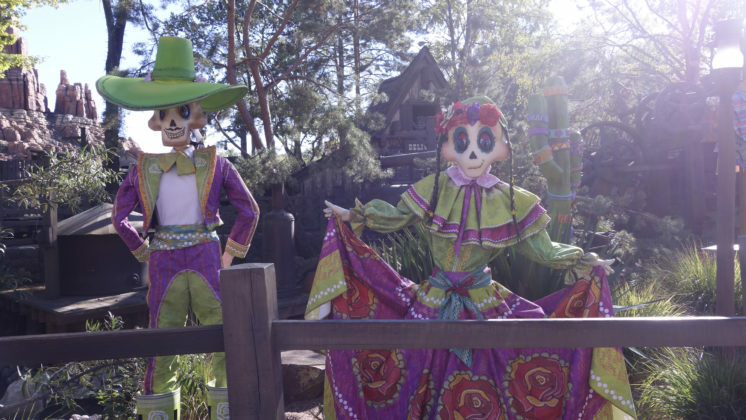 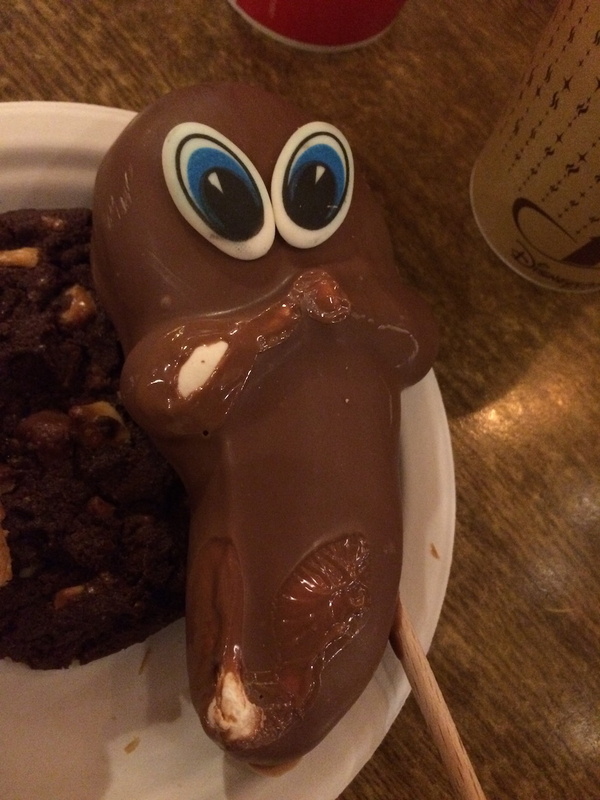 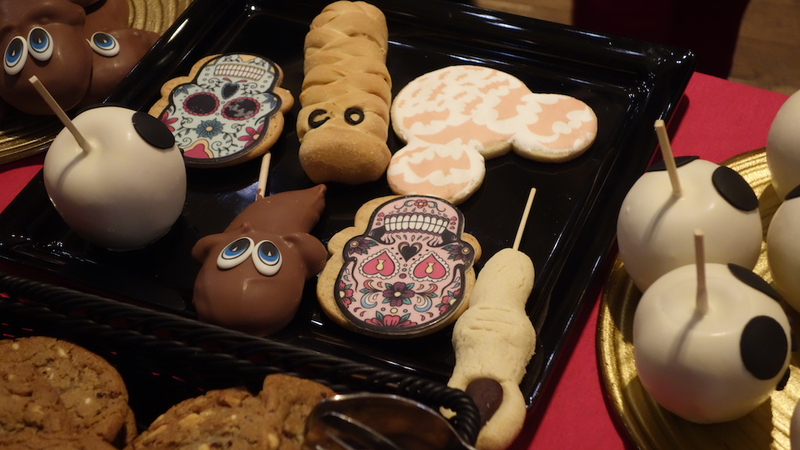 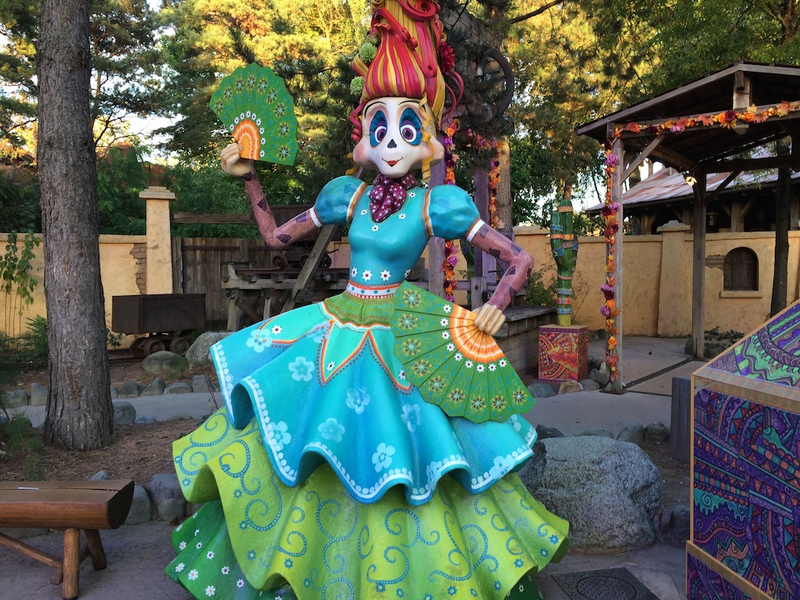 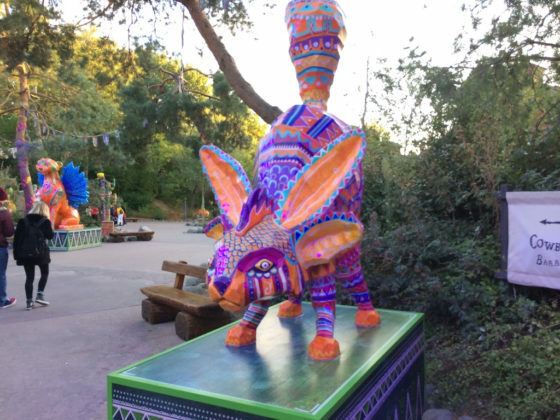 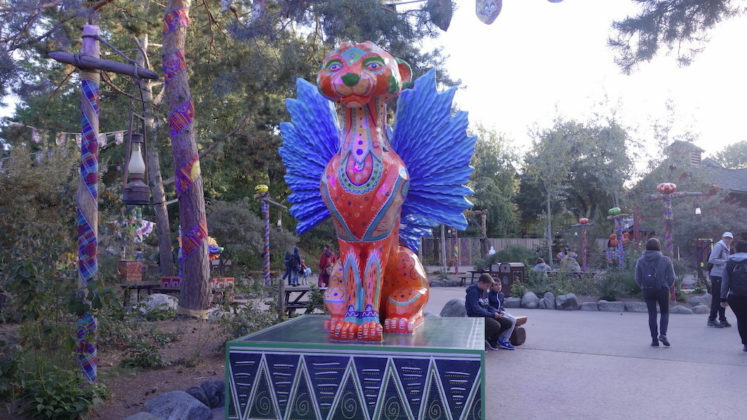 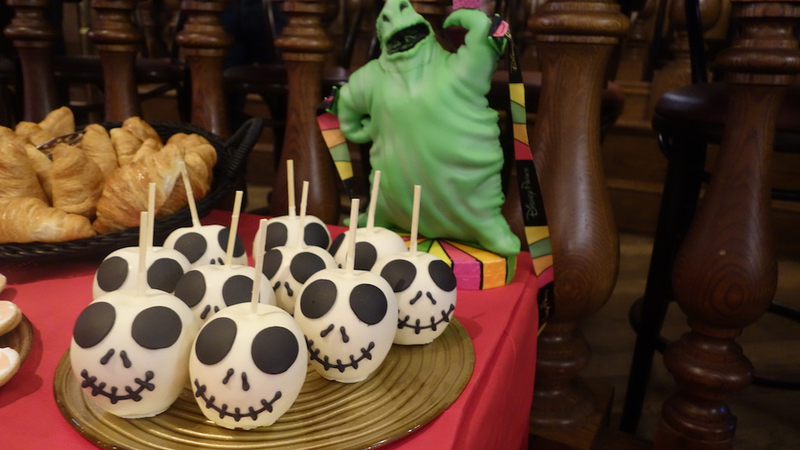 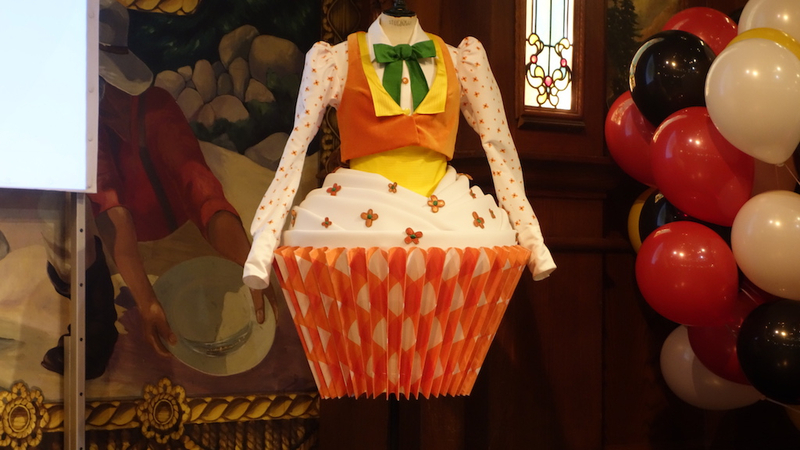 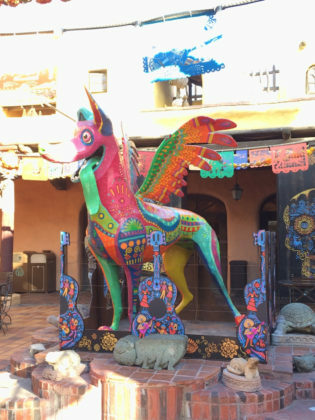 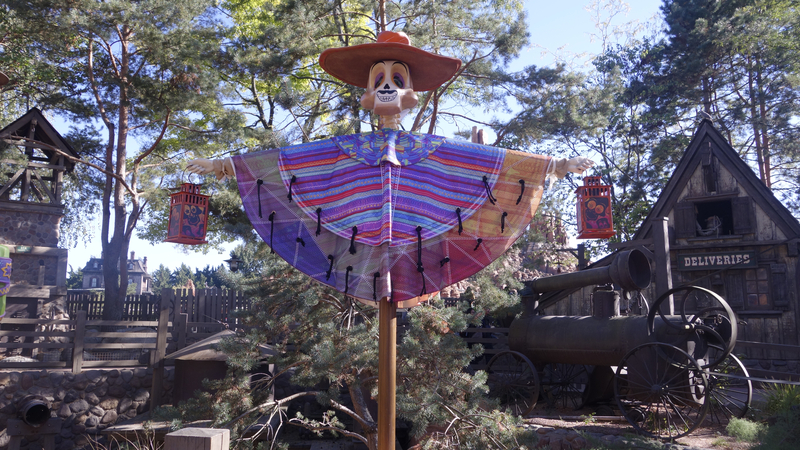 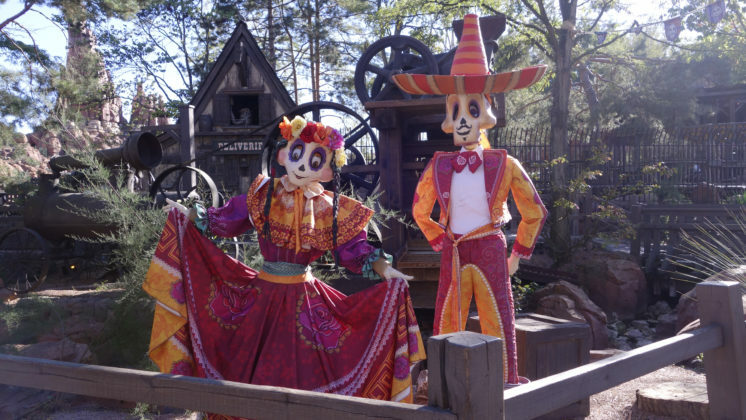 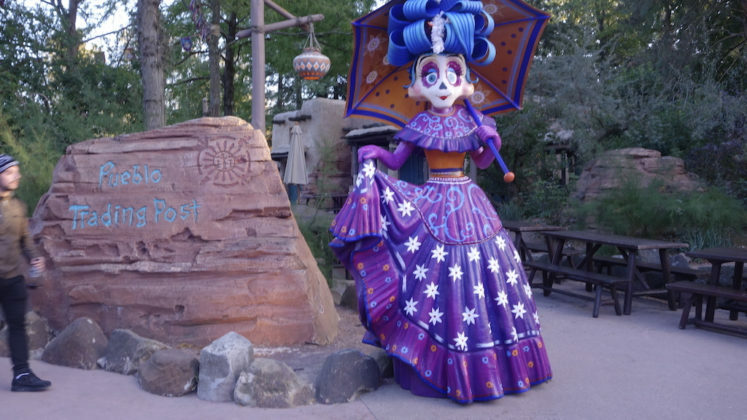 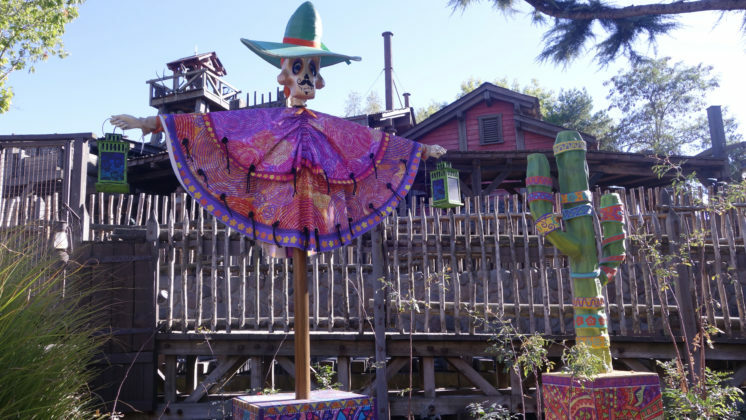 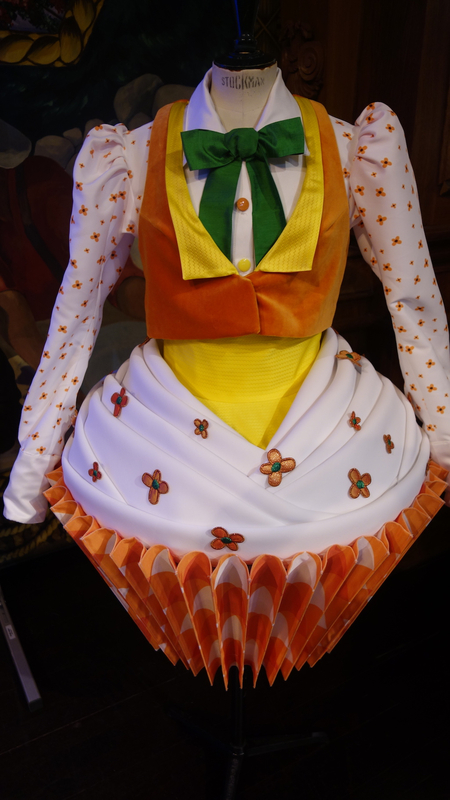 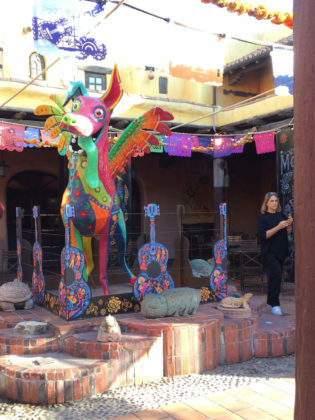 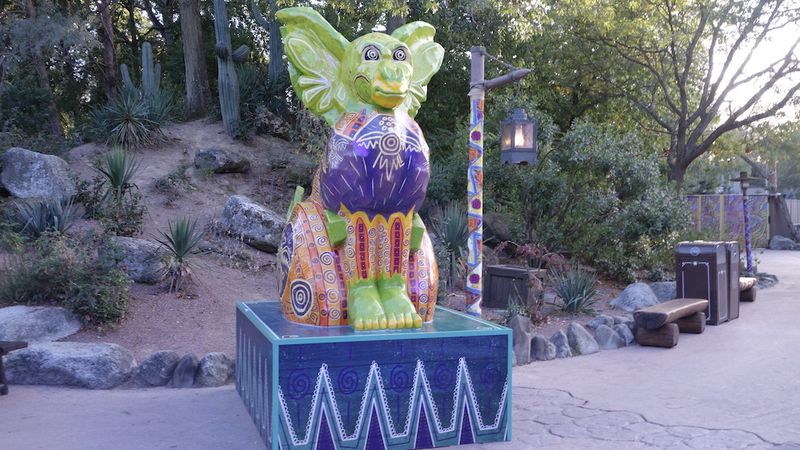 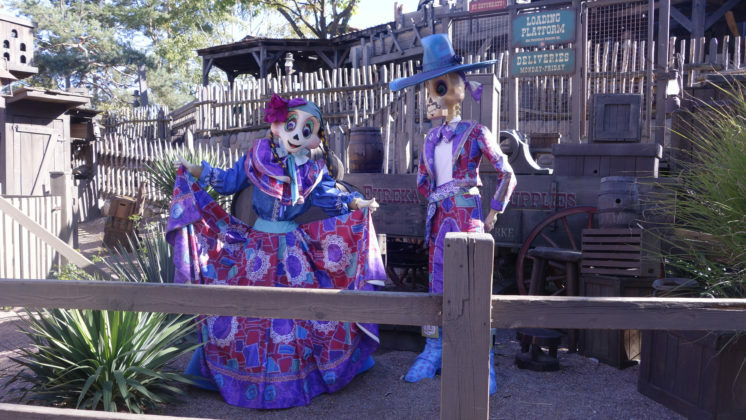 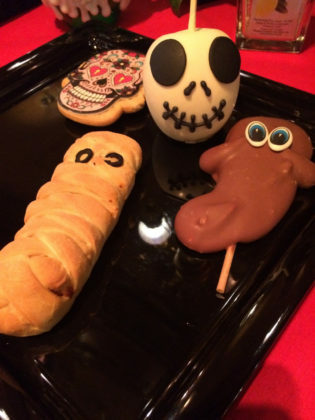 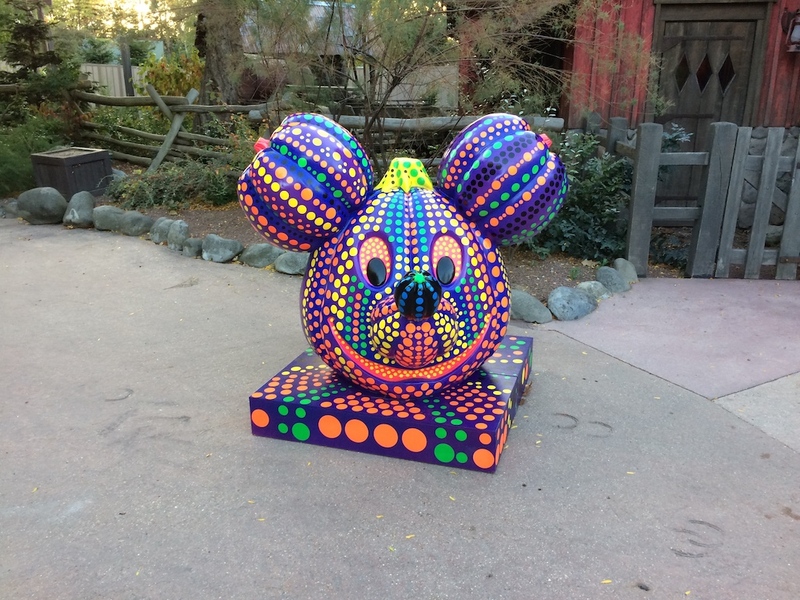 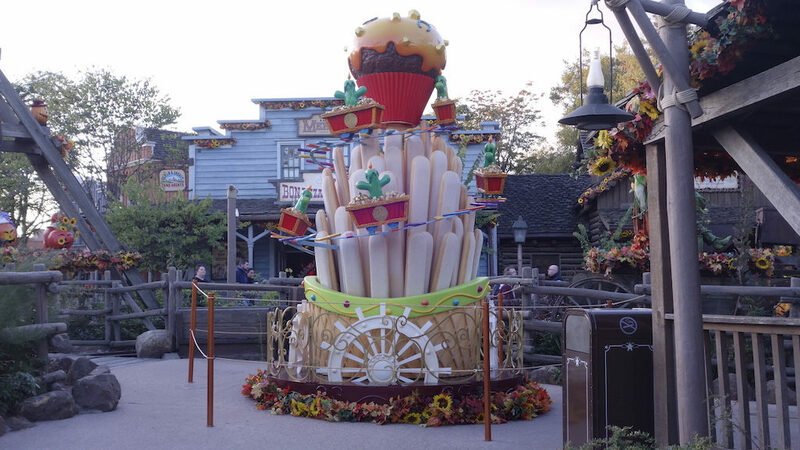 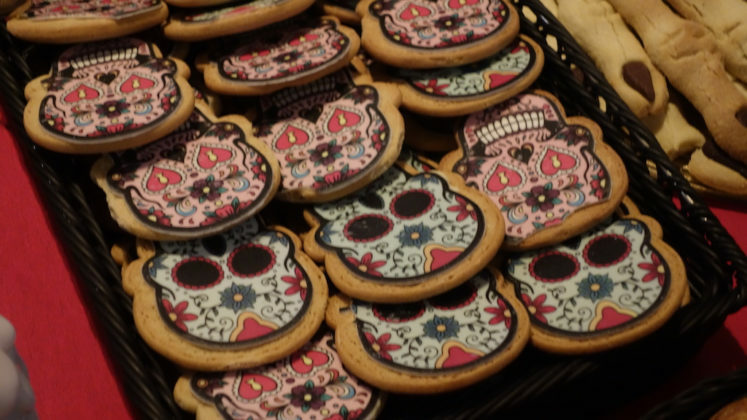 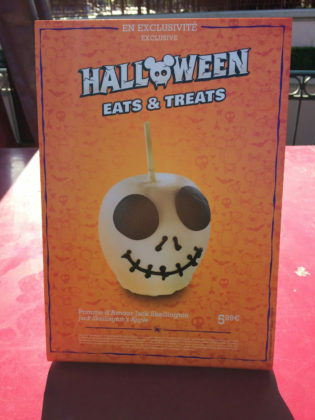 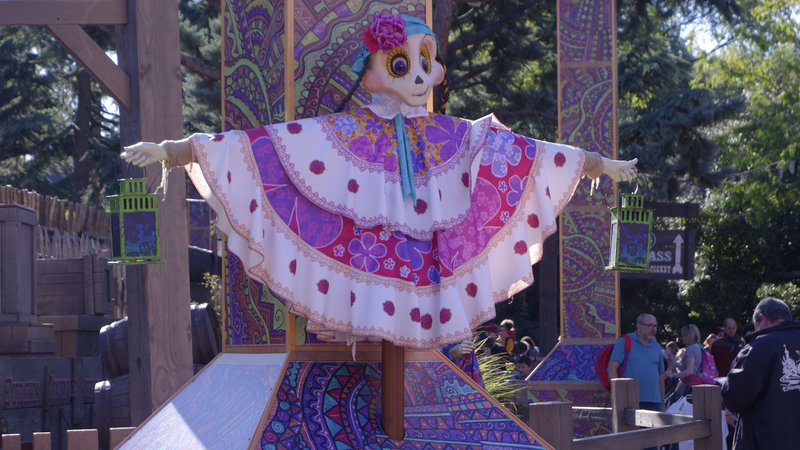 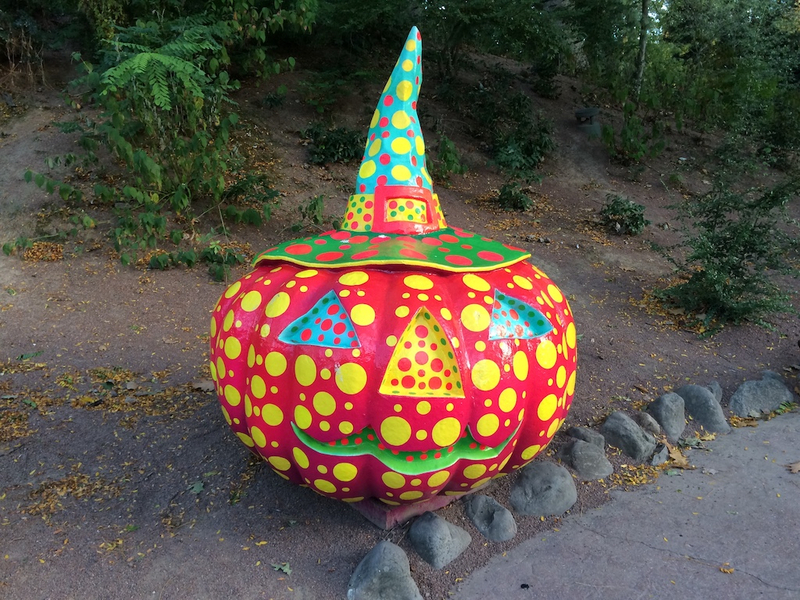 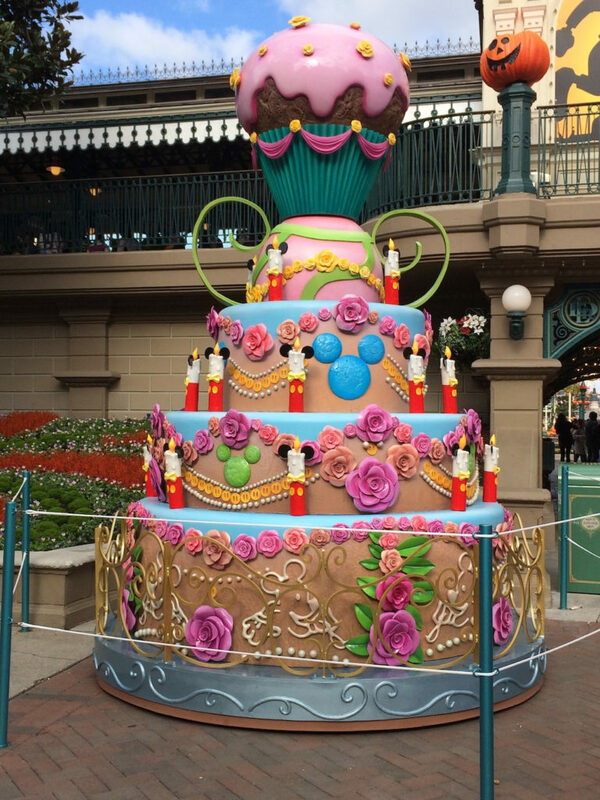 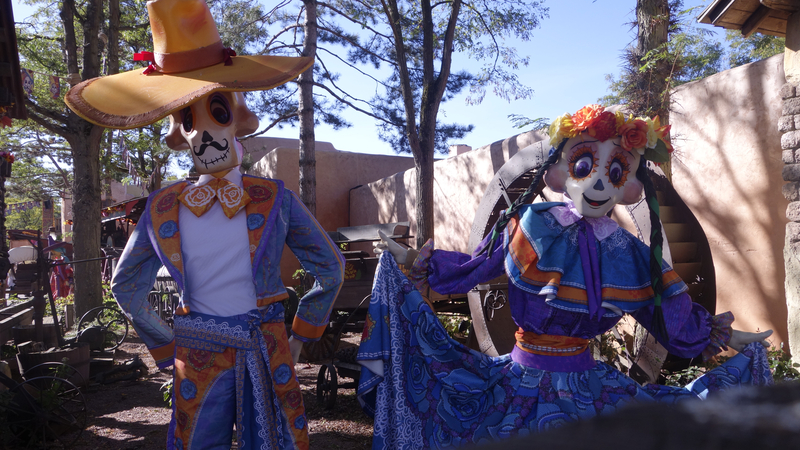 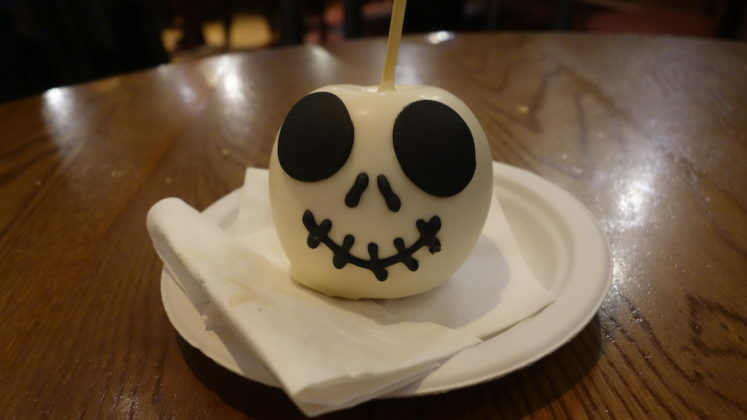 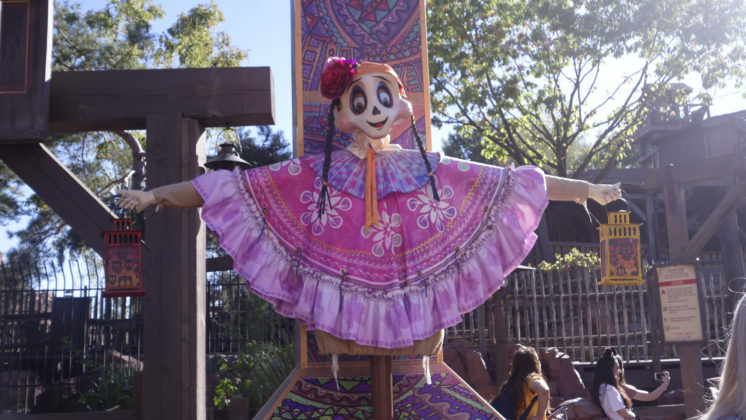 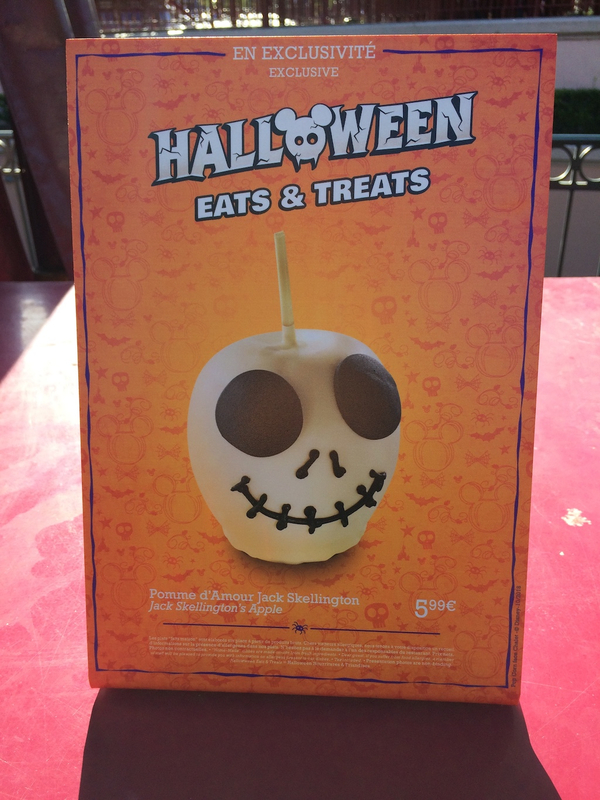 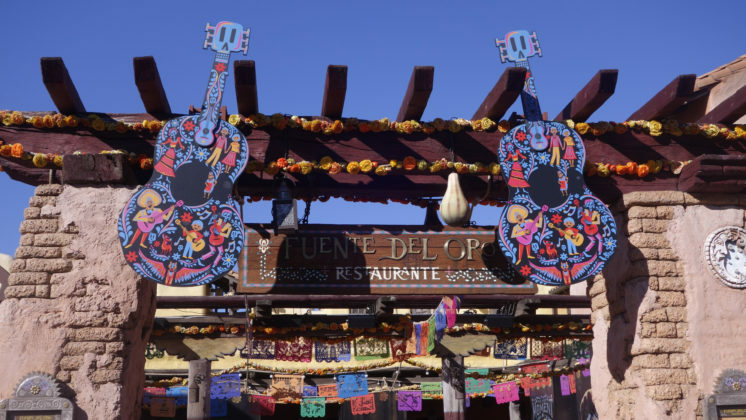 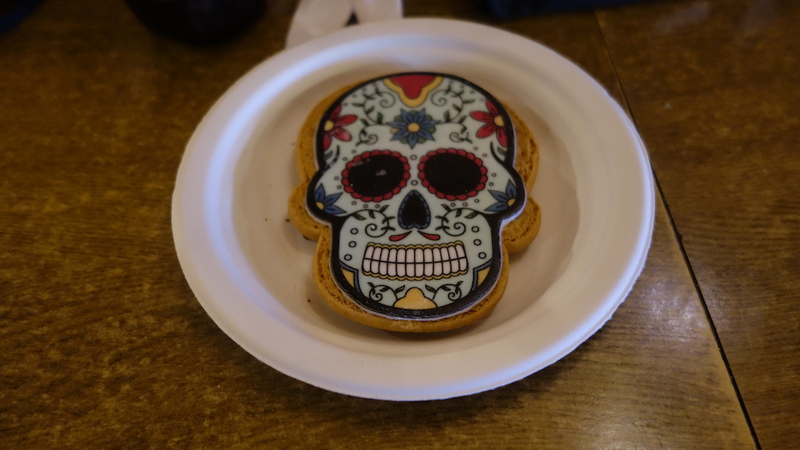 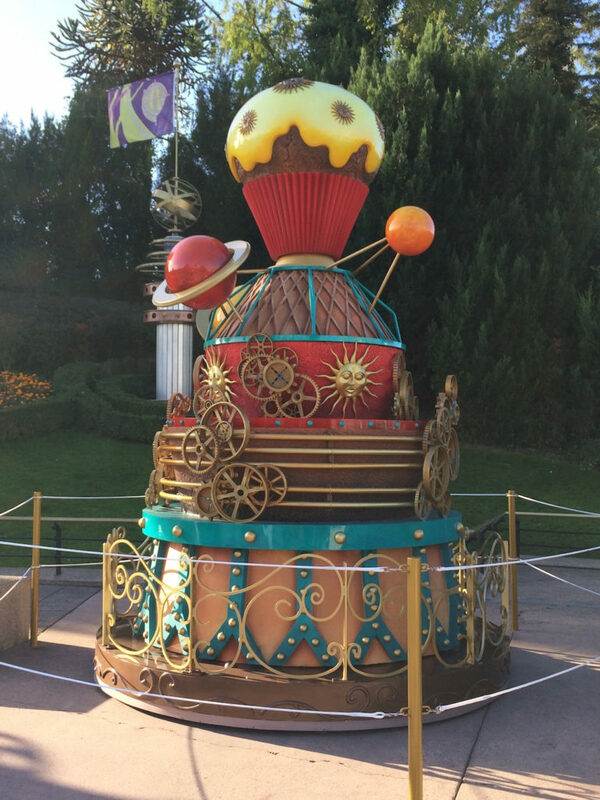 Candy apples, mummy hot dogs, marshmallow ghosts, and dDiade los Muertos inspired by Coco were just a handful of the delicious goodies lurking around Parc Disneyland. 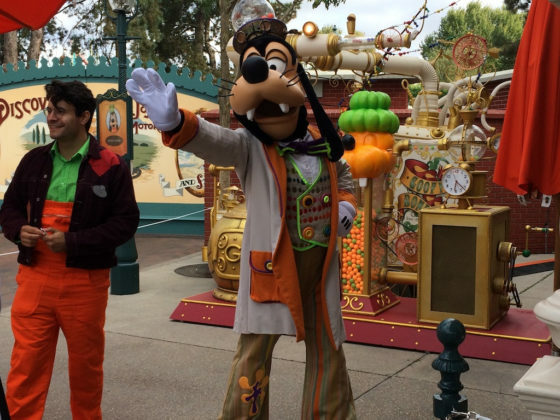 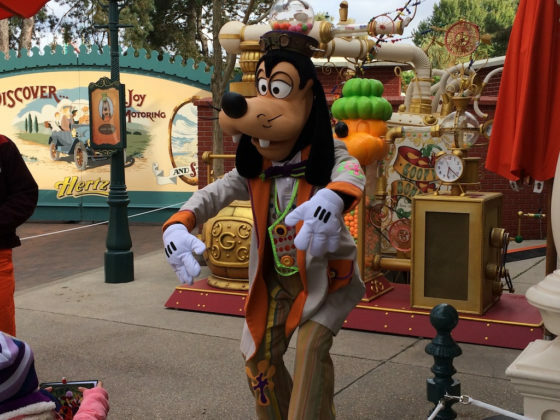 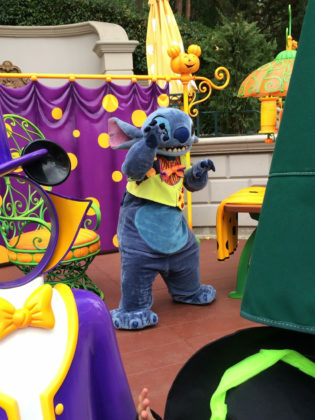 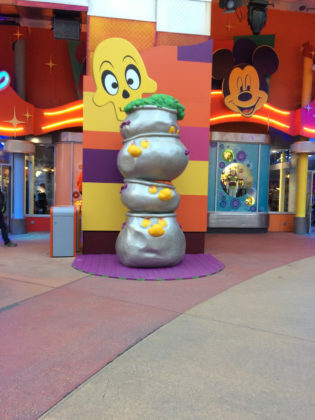 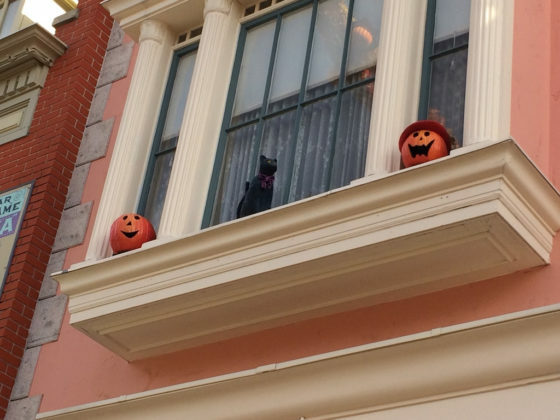 Even Goofy, Donald, and Stitch got in on the Halloween action with their own costumes. Lines to meet them were quite long, so I opted to take pictures in passing. My favorite costume belongs to Goofy. 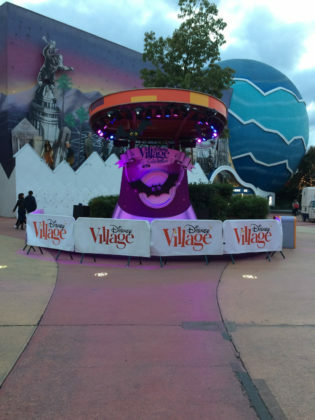 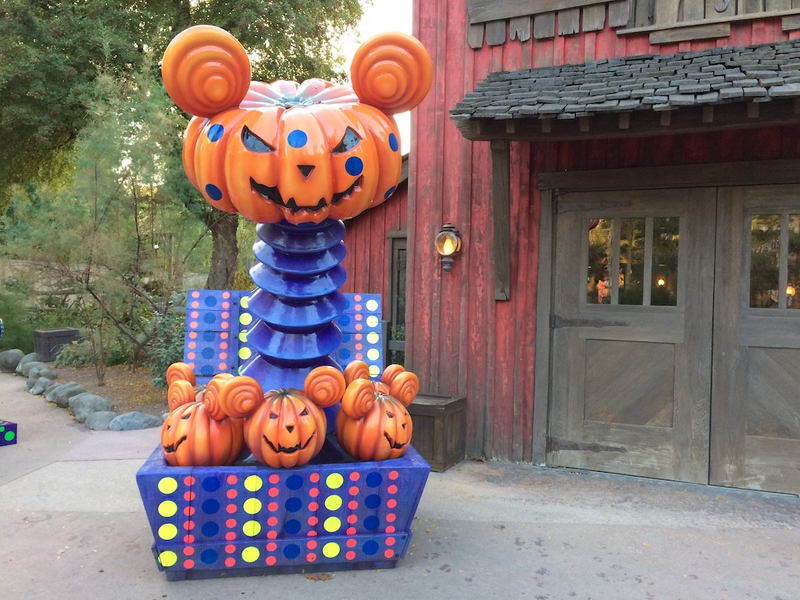 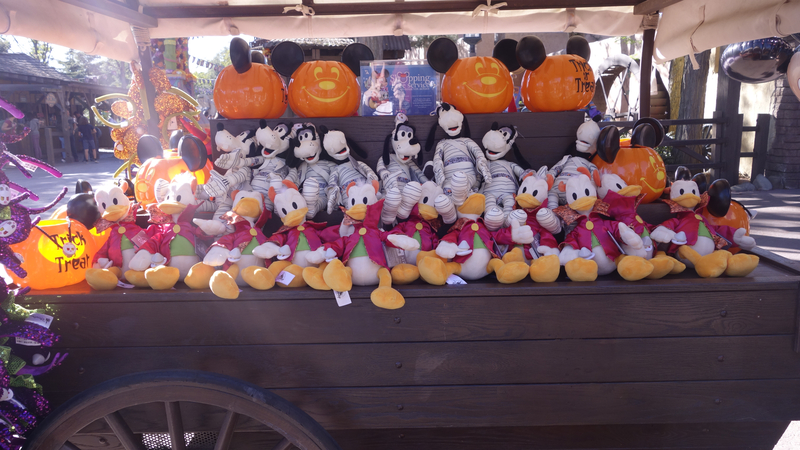 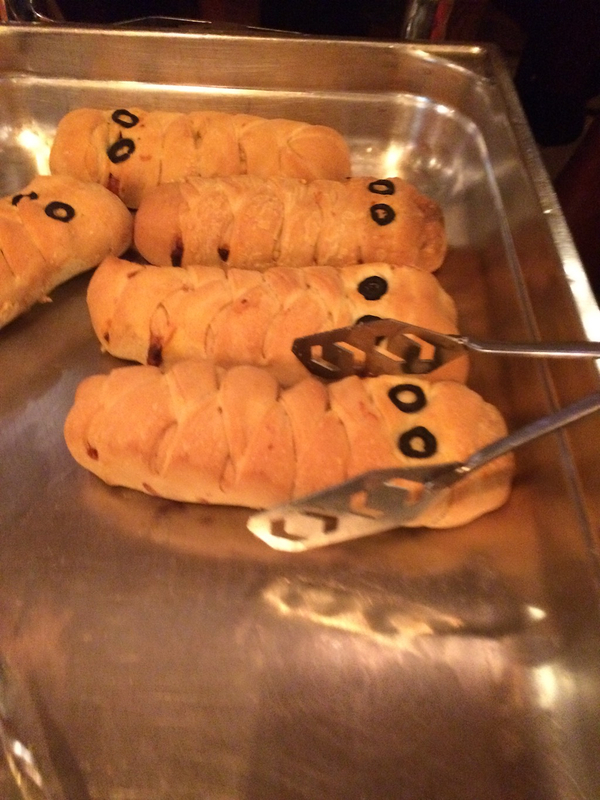 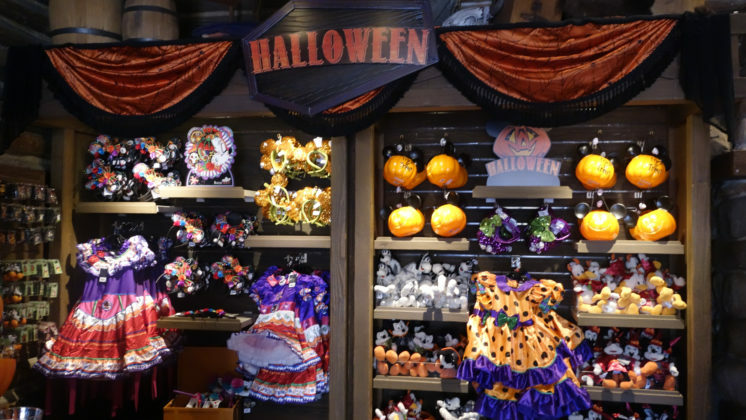 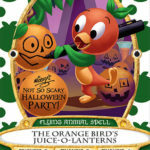 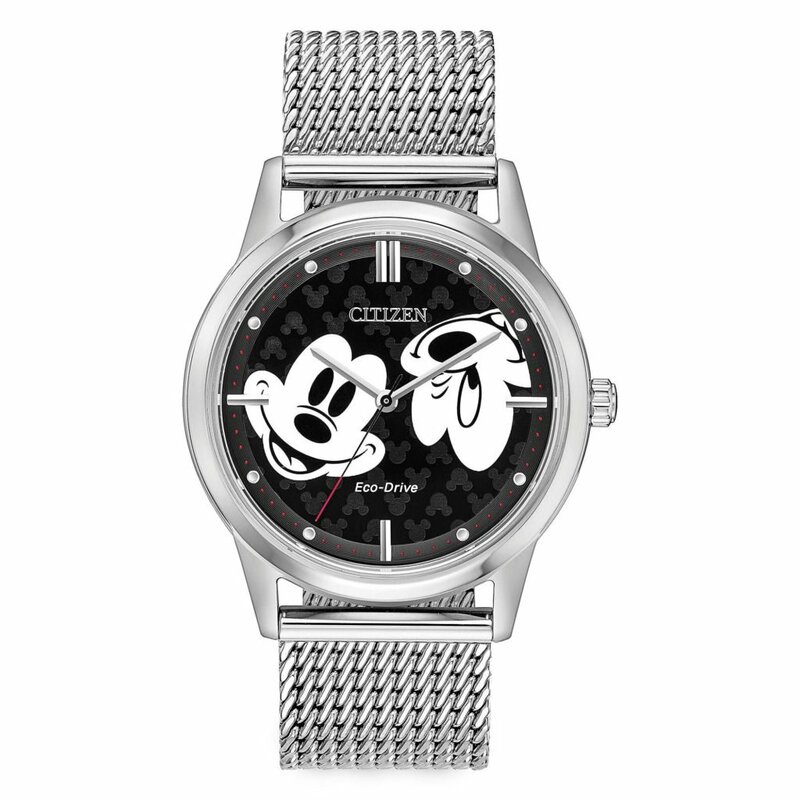 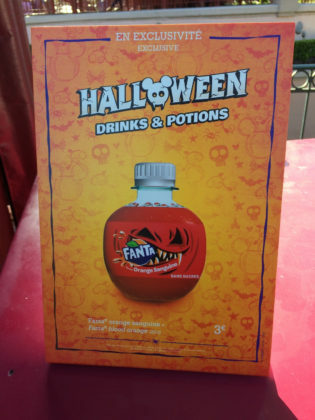 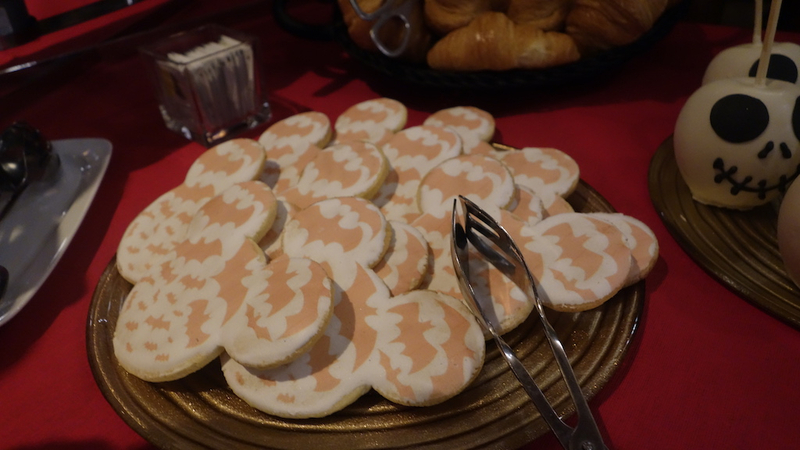 Guests could get plenty of adorable merchandise that was distinctly Disney Halloween. 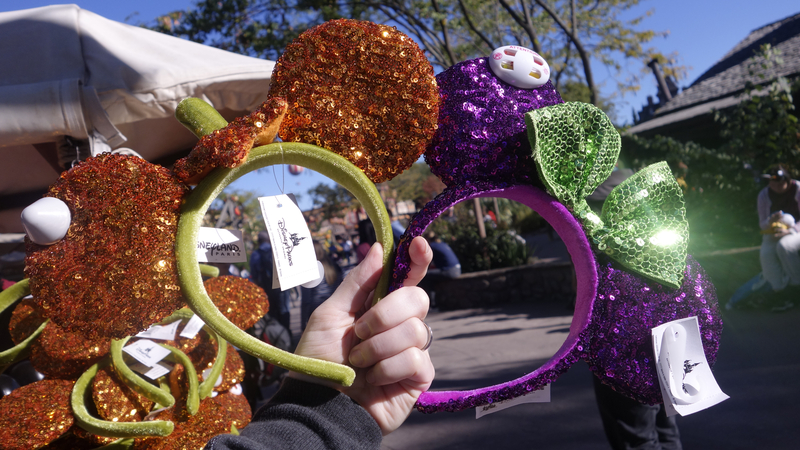 From sequined ears and pumpkin buckets to plushes and attire, there was no shortage of holiday goods. 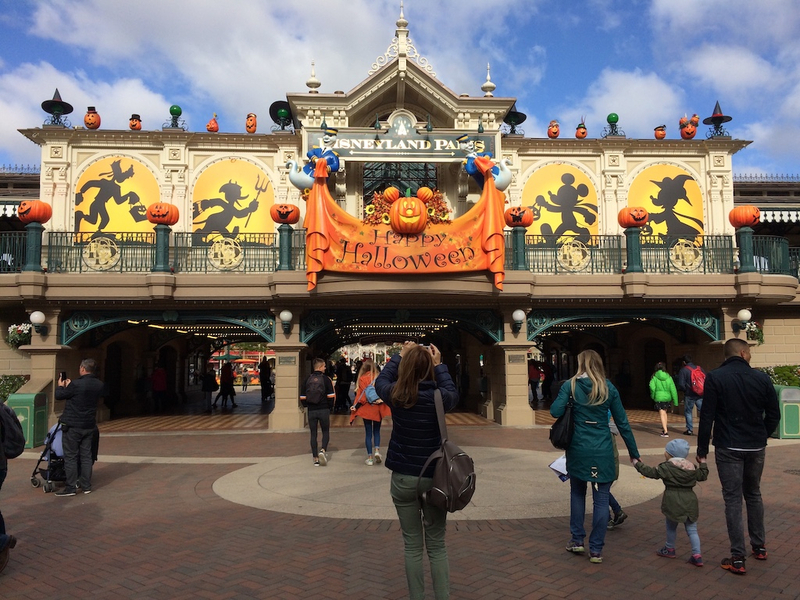 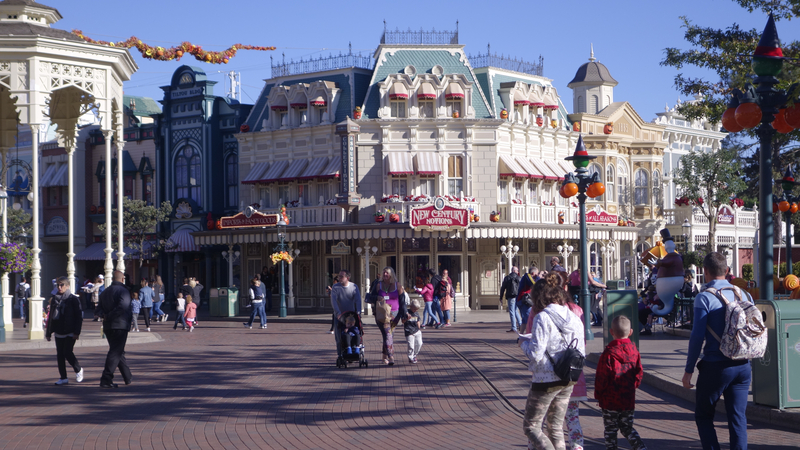 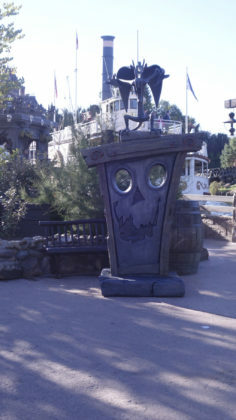 Disneyland Paris’ shopping and entertainment district, Disney Village, also Halloween decorations up. 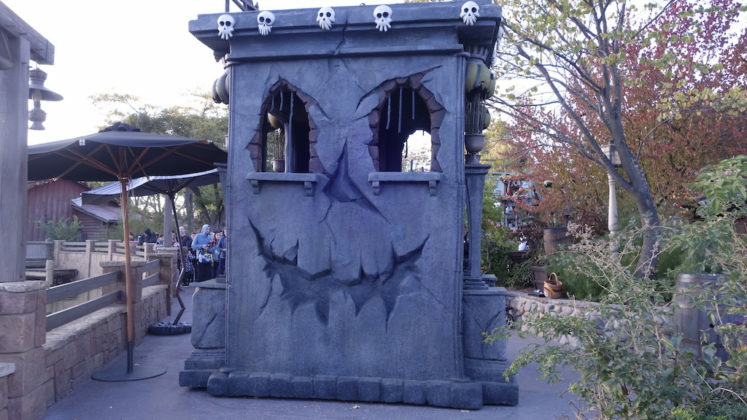 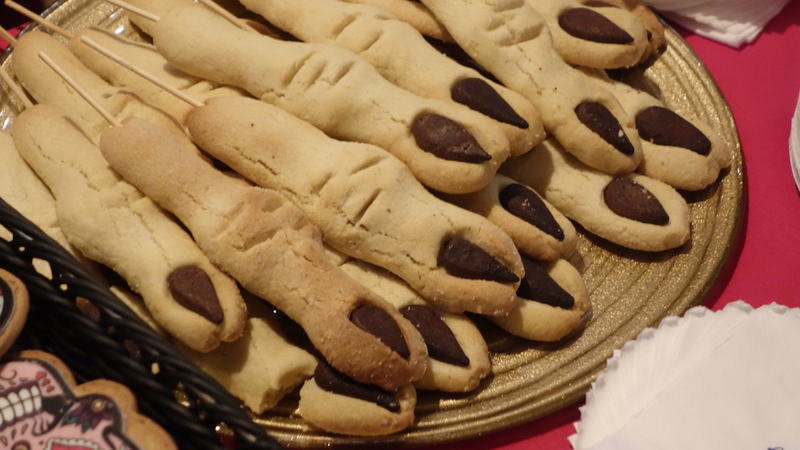 Bats, cauldrons, and ghosts brought a silly and fun side to some mild spooks! Thank you for joining me for this holiday overview. 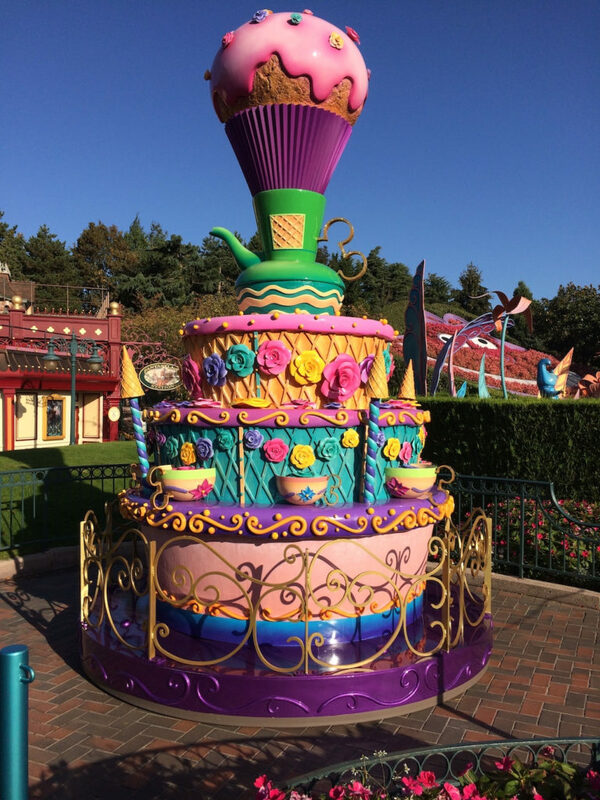 Disneyland Paris and especially Parc Disneyland is absolutely amazing. 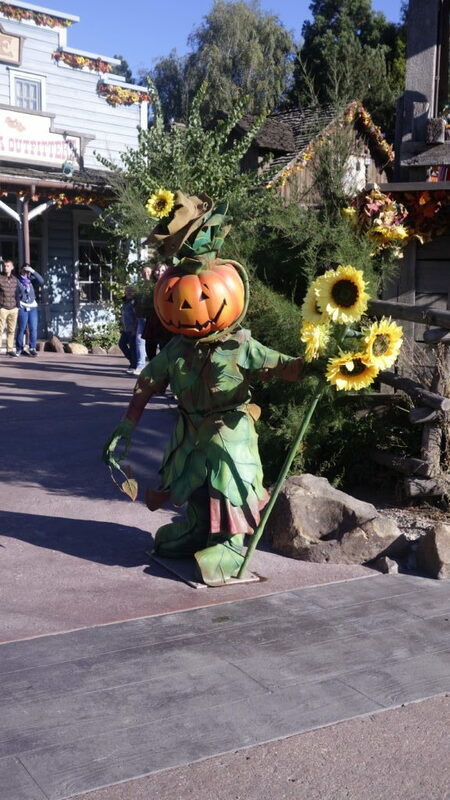 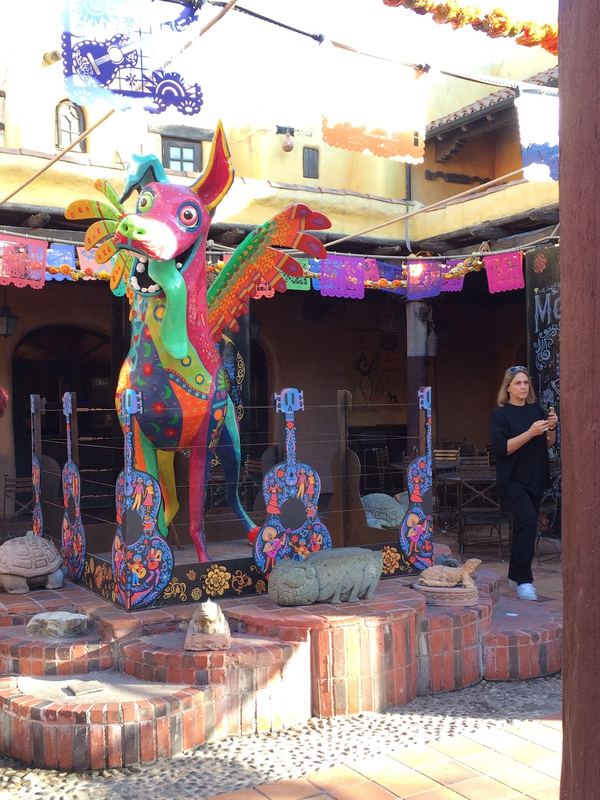 If you get the chance to visit at any time of the year, you will not be disappointed. Happy Halloween!